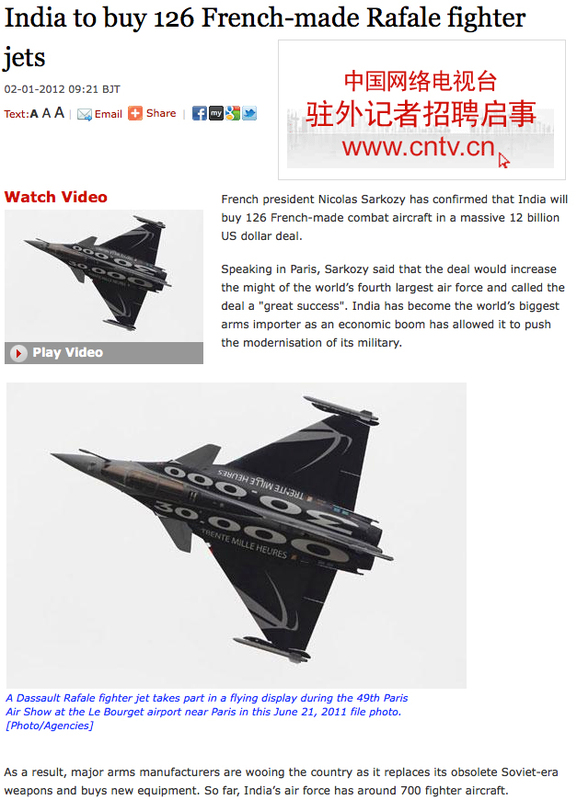 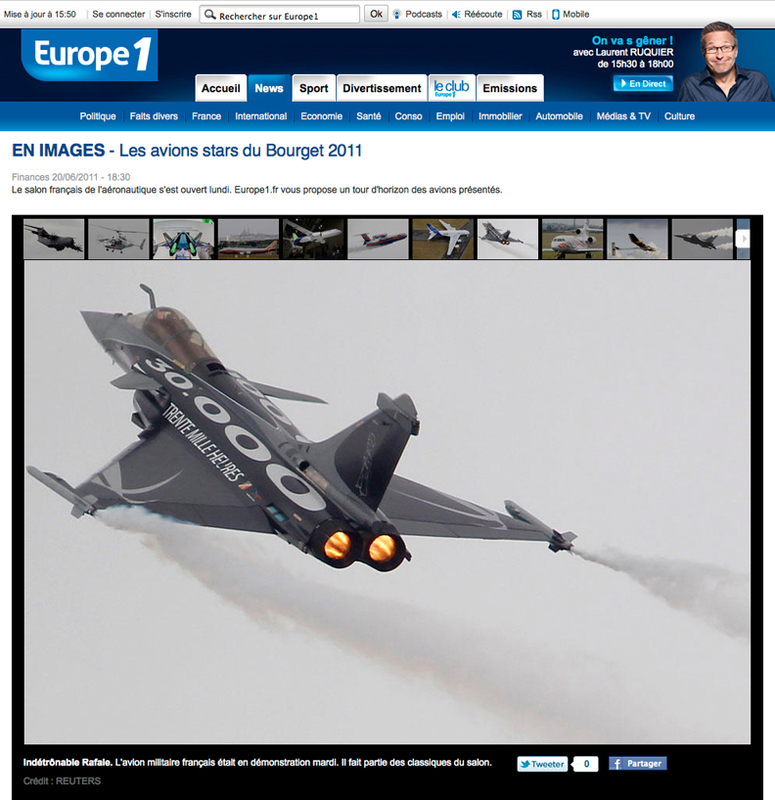 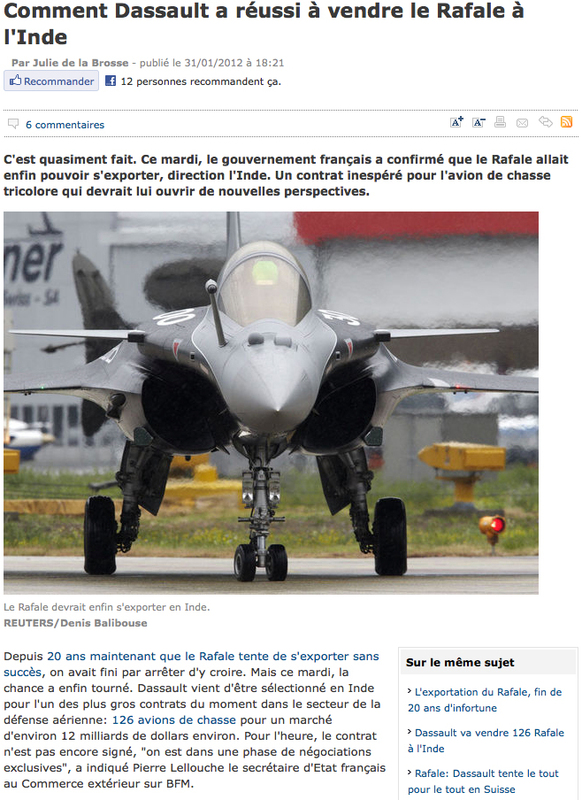 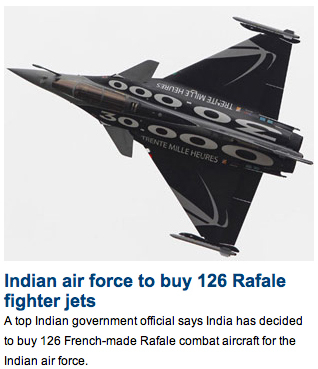 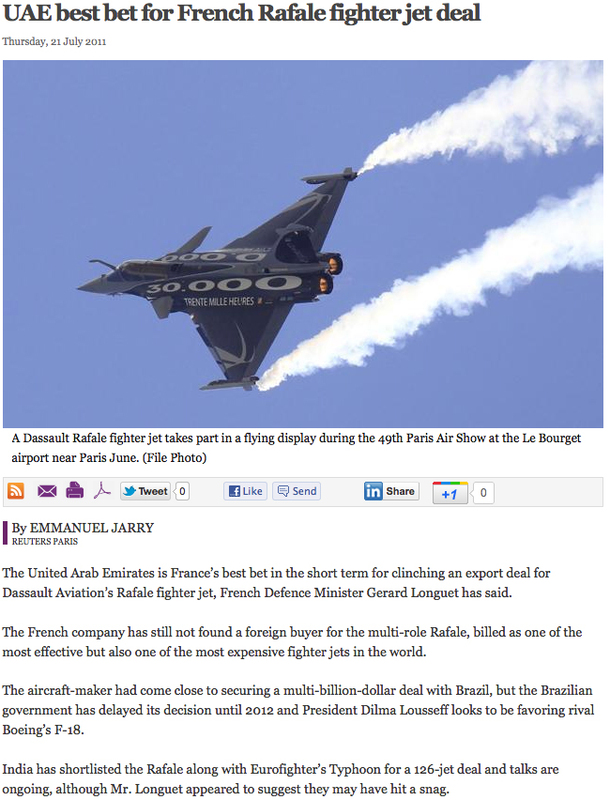 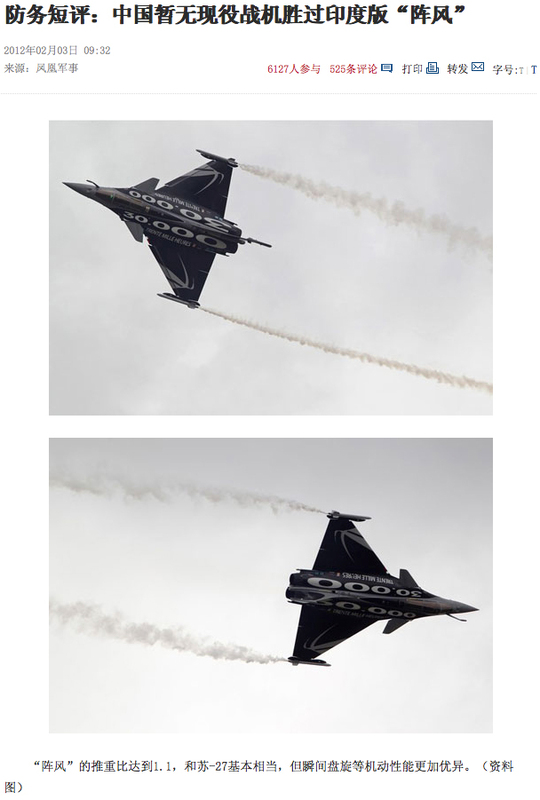 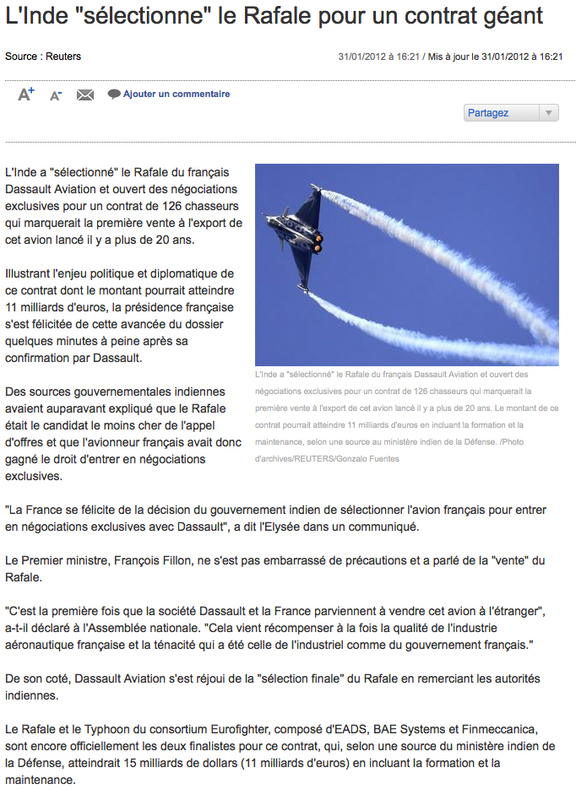 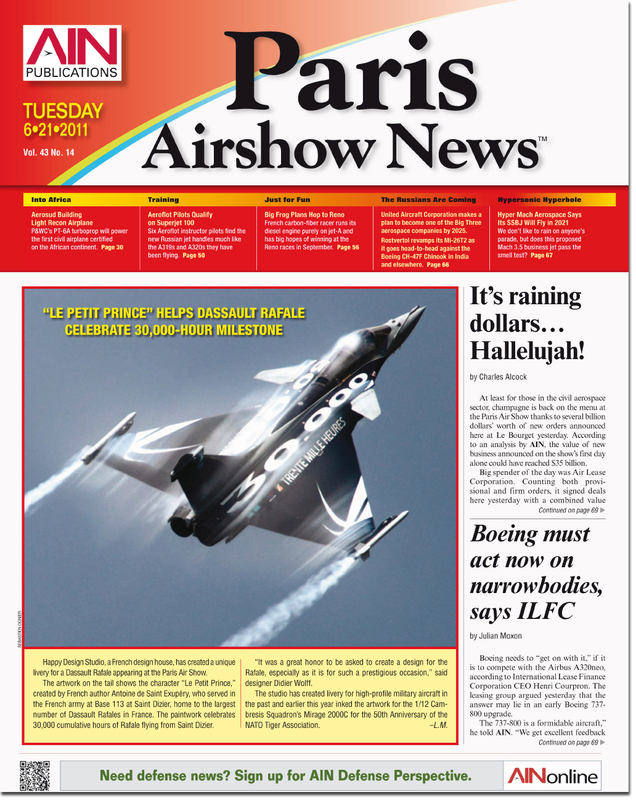 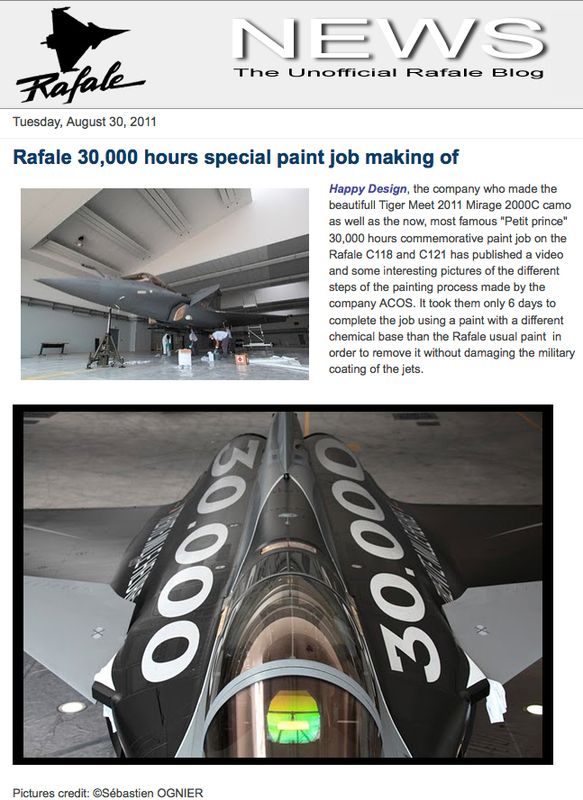 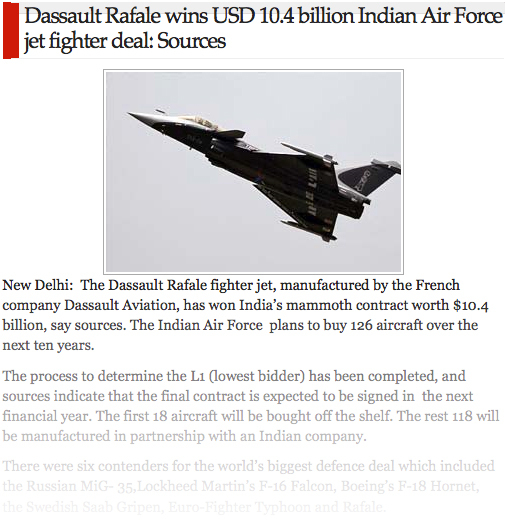 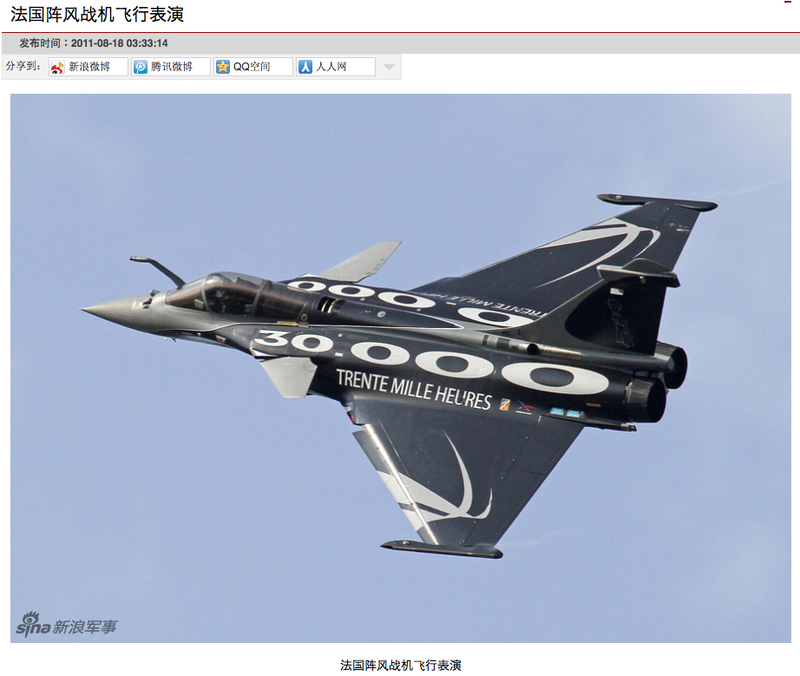 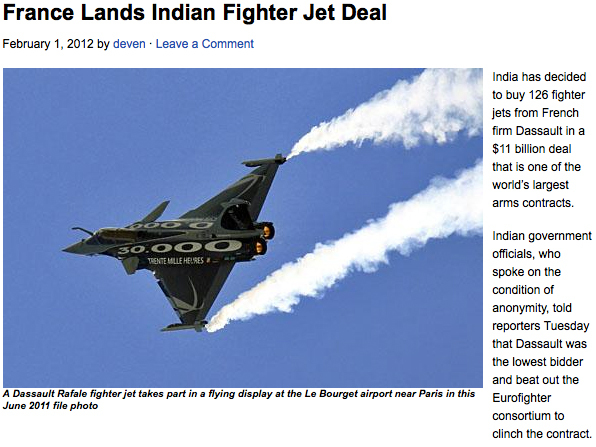 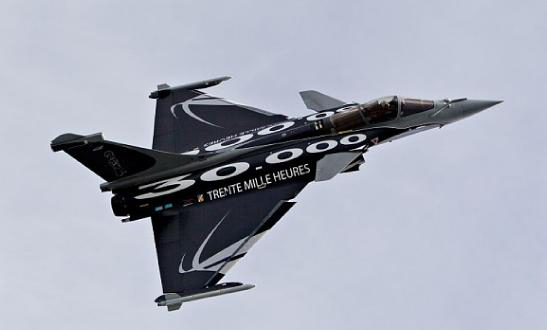 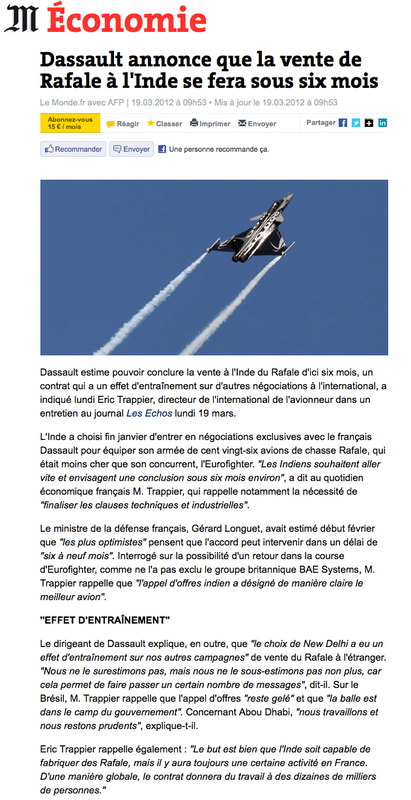 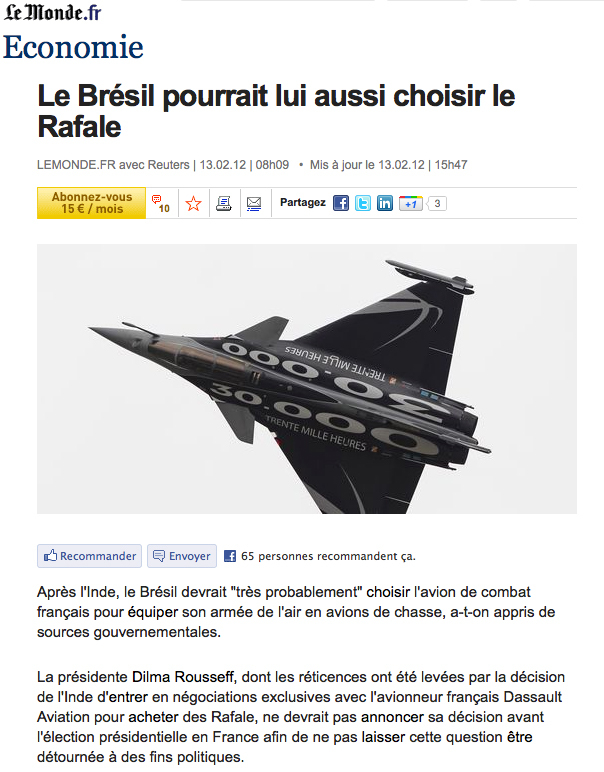 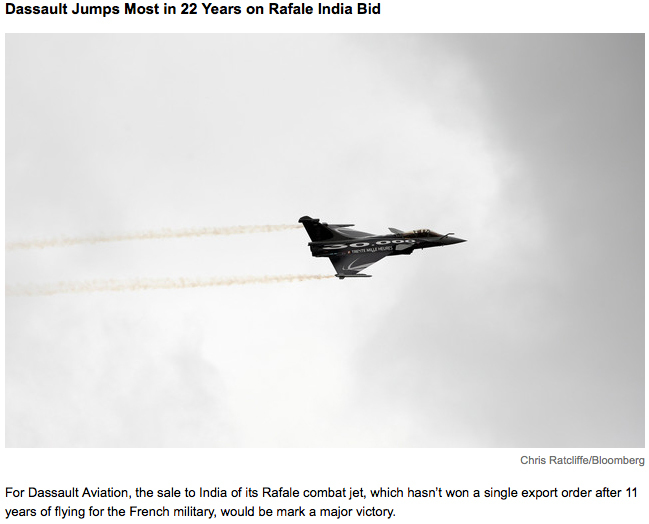 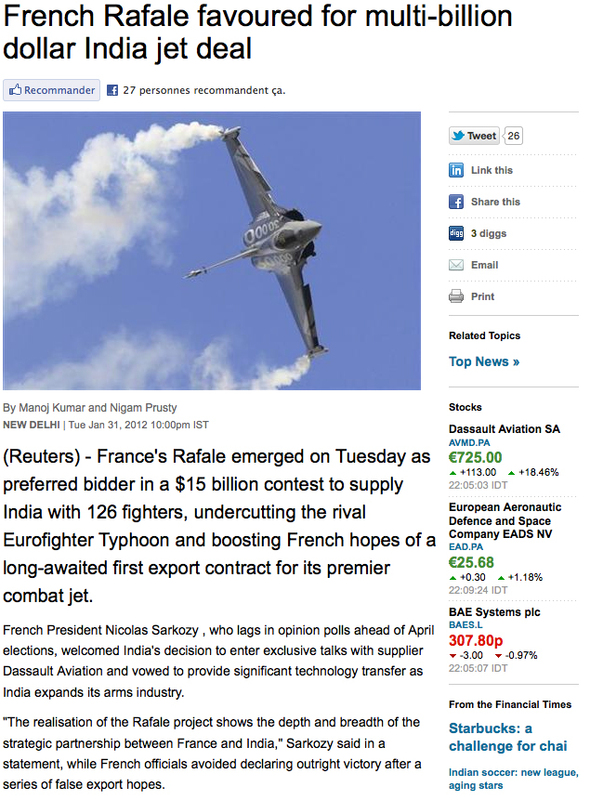 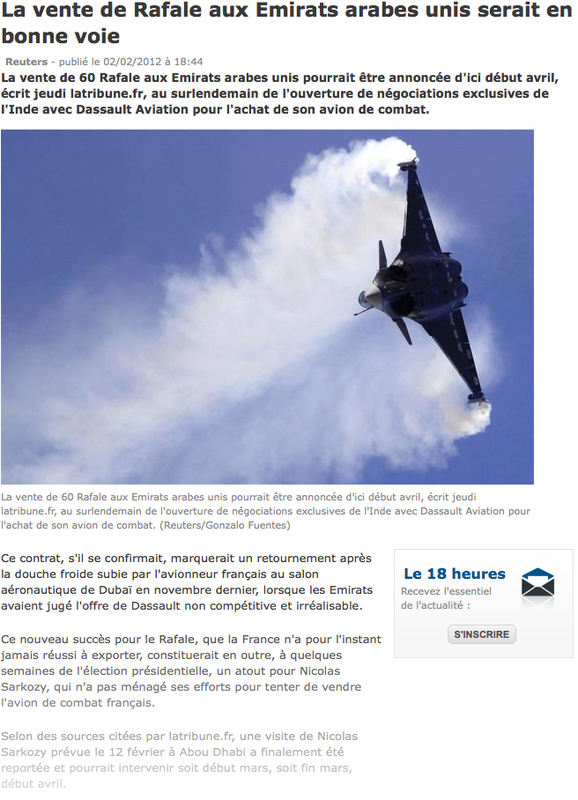 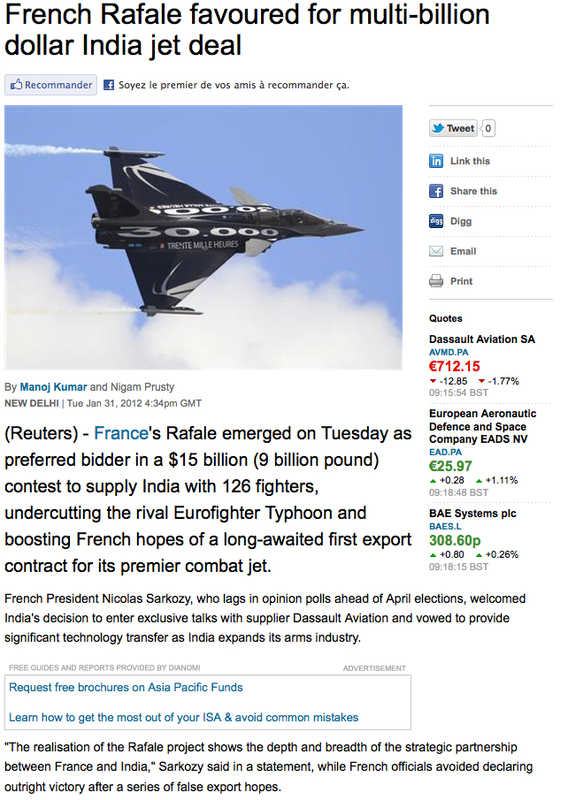 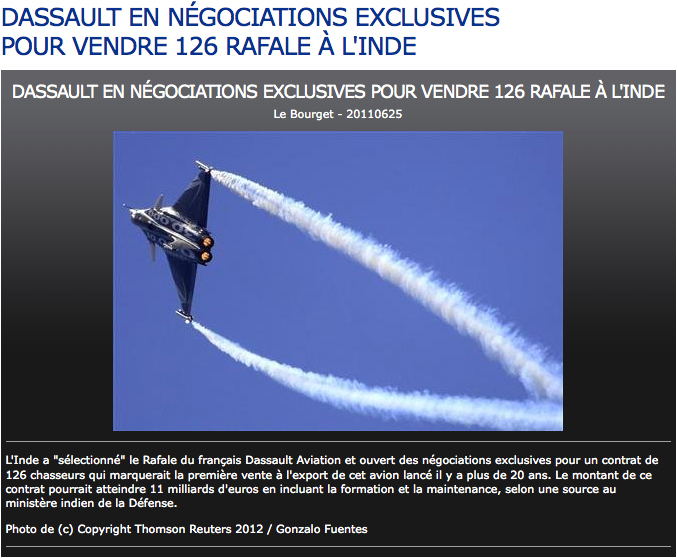 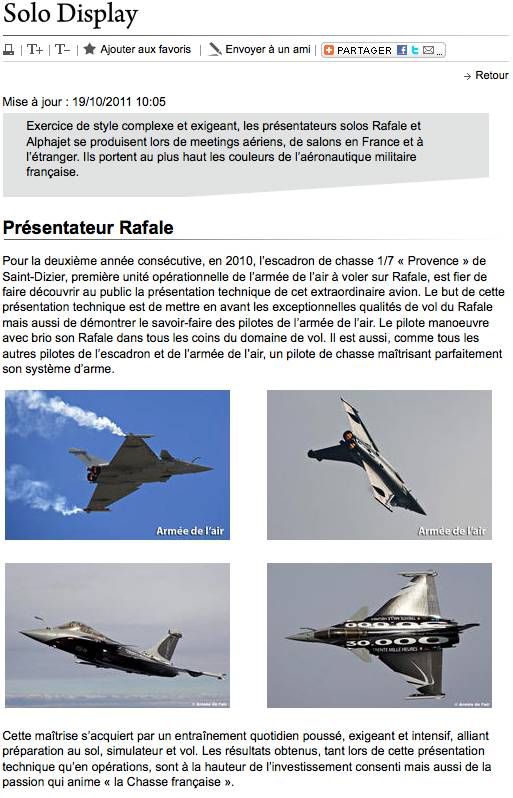 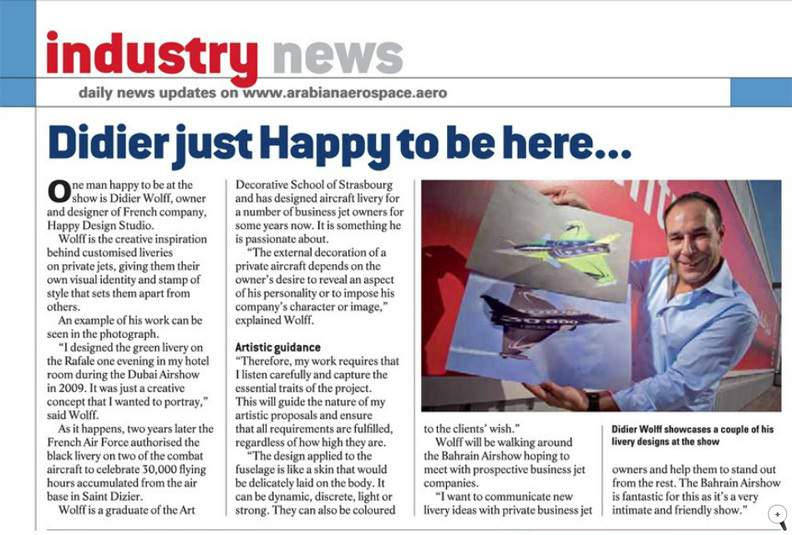 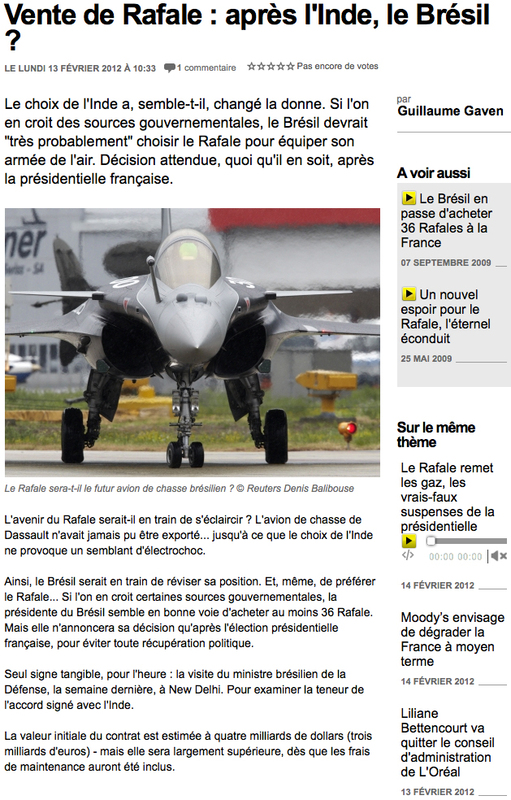 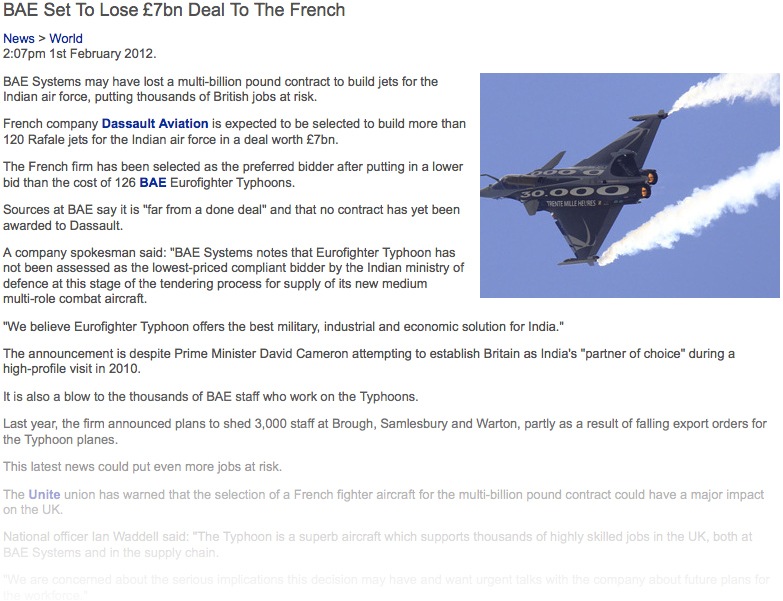 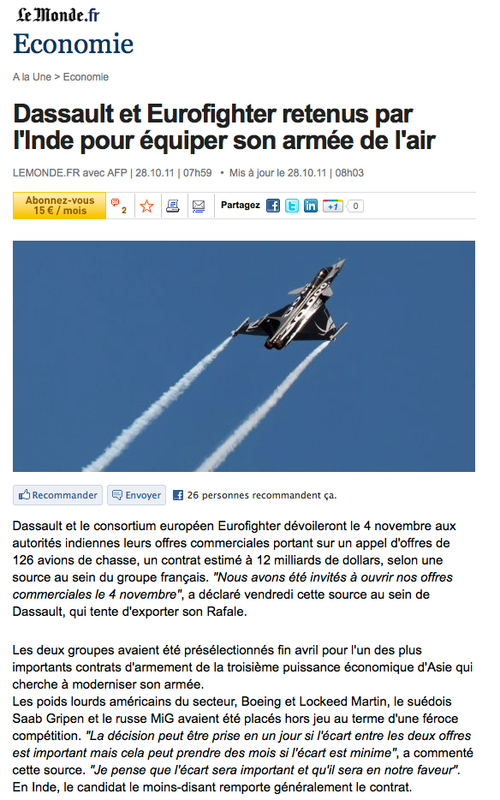 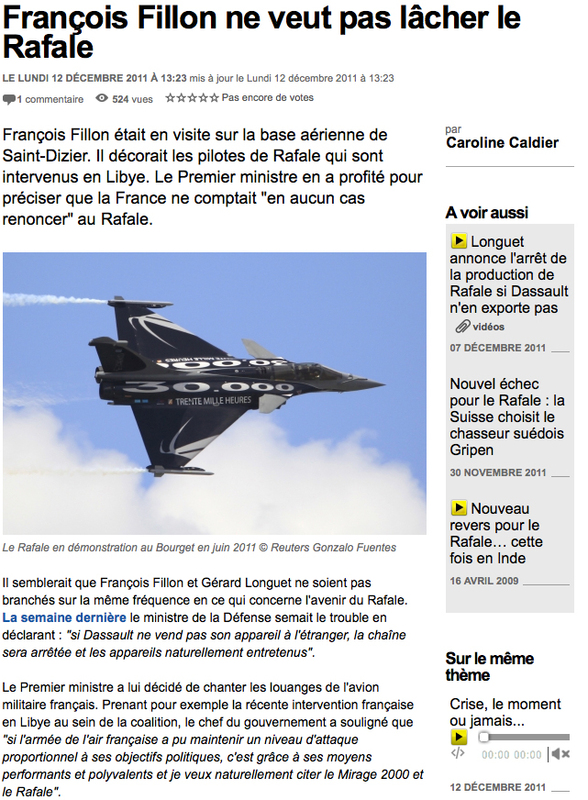 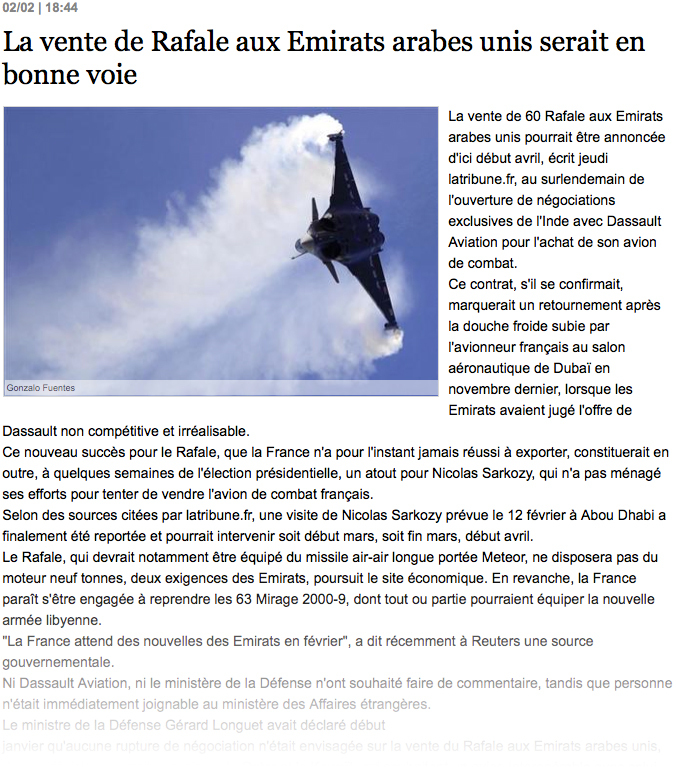 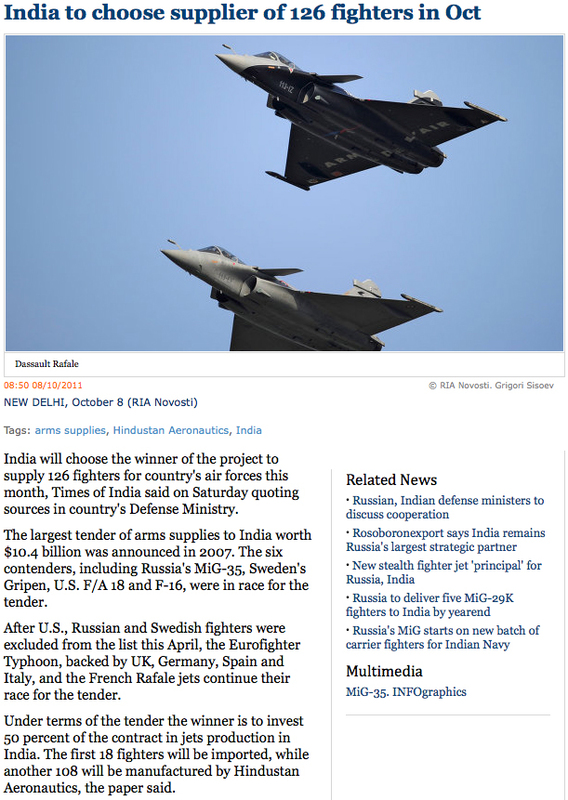 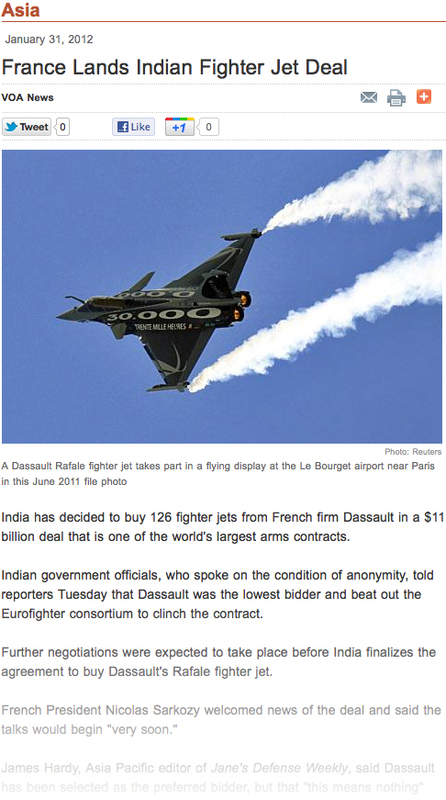 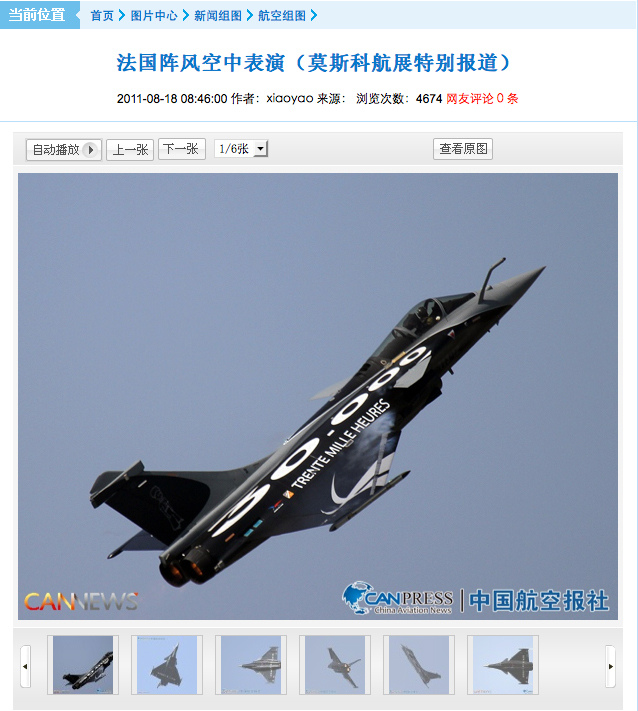 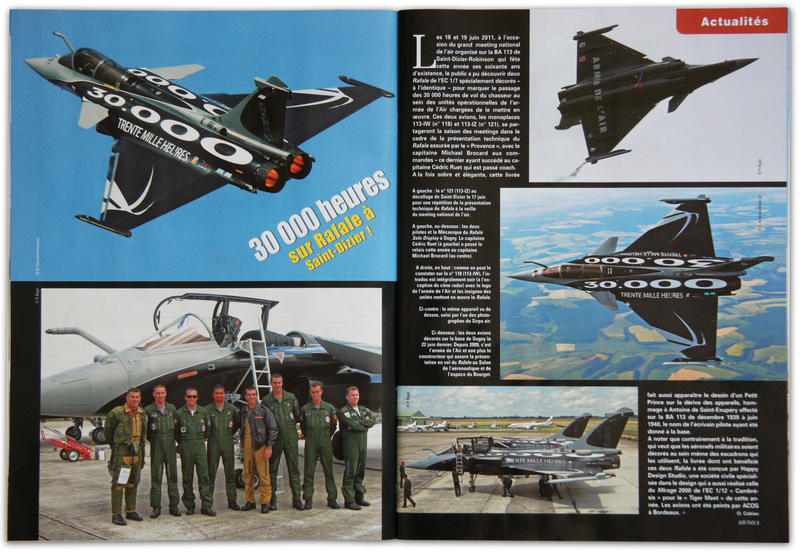 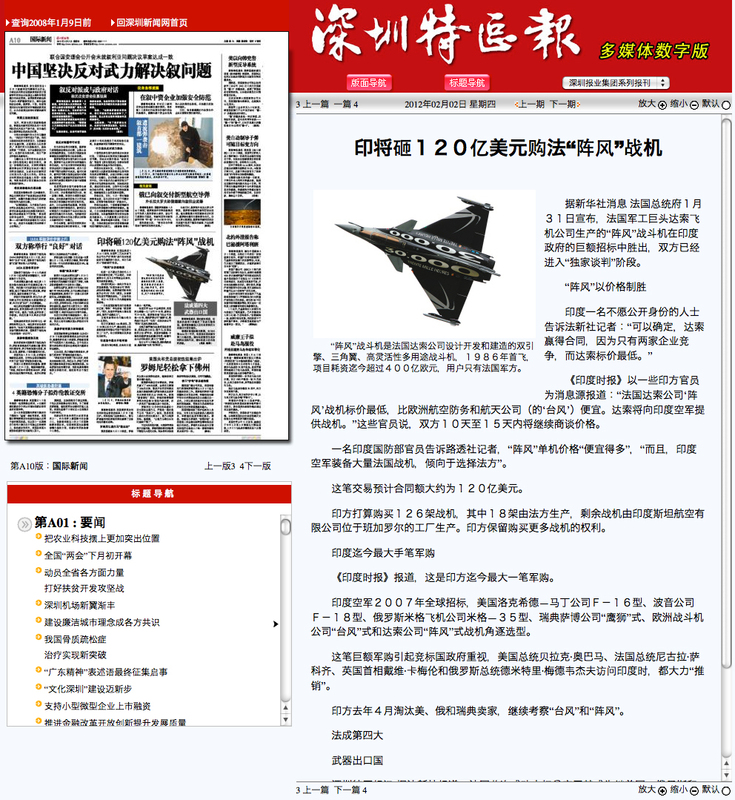 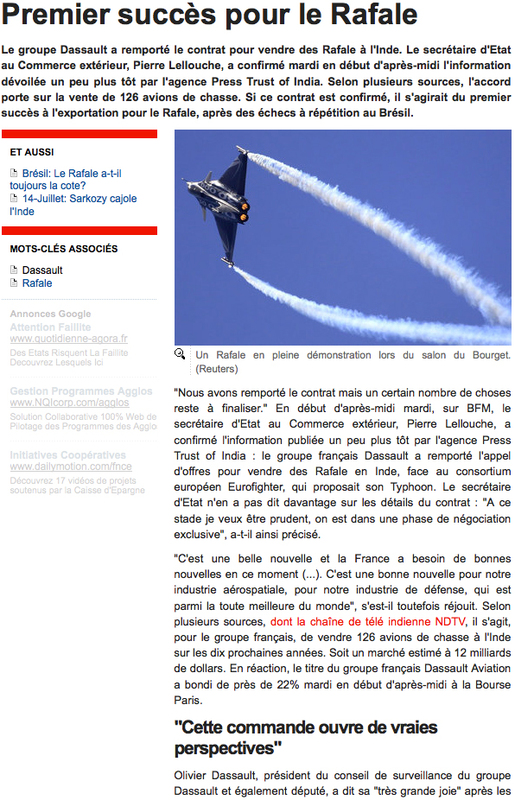 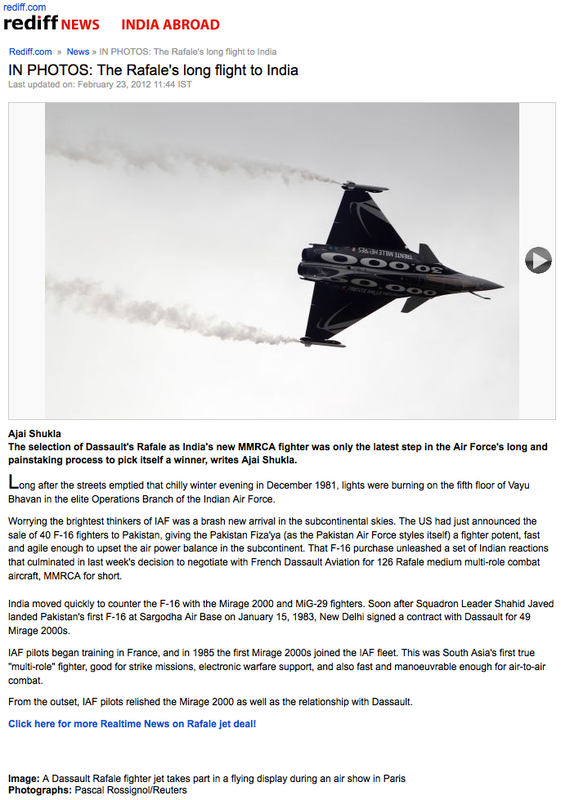 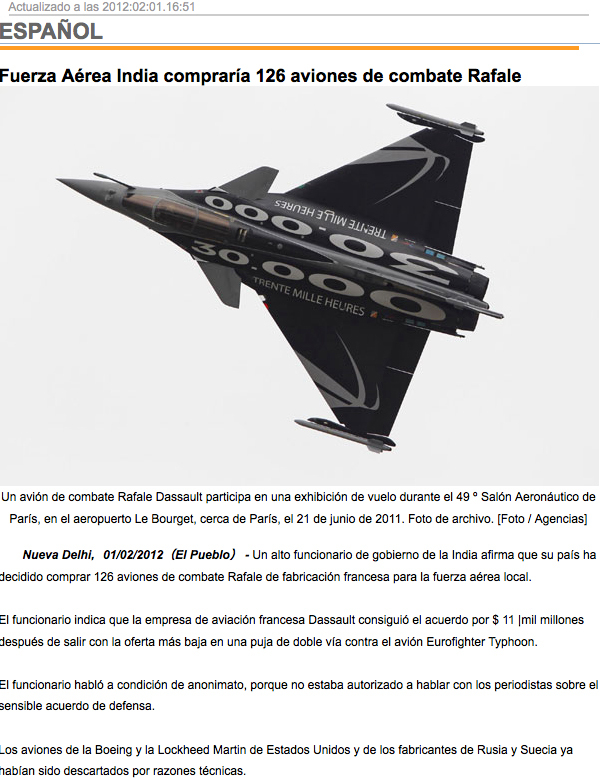 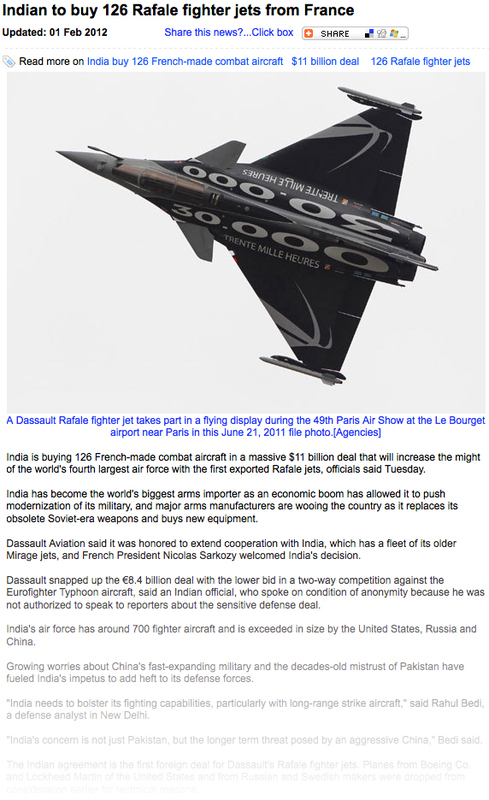 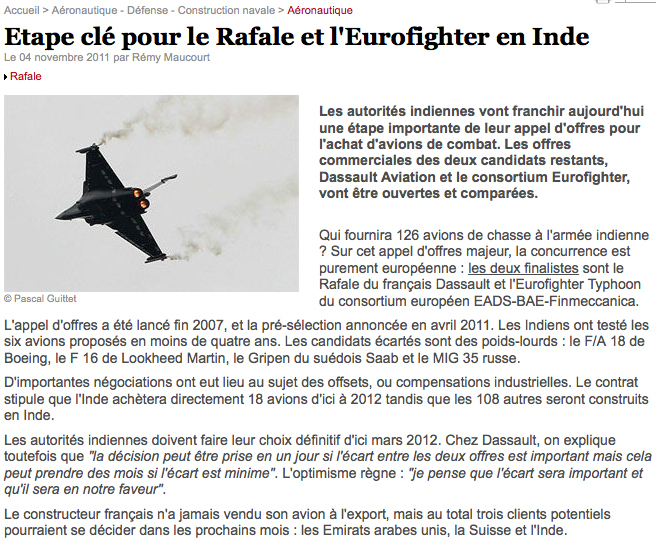 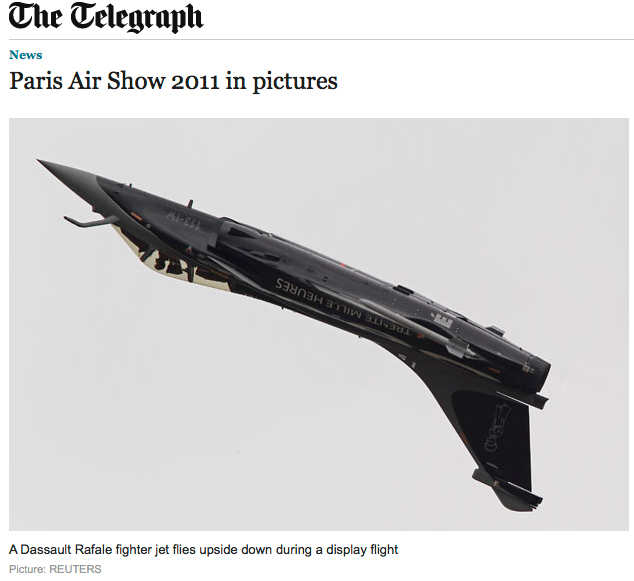 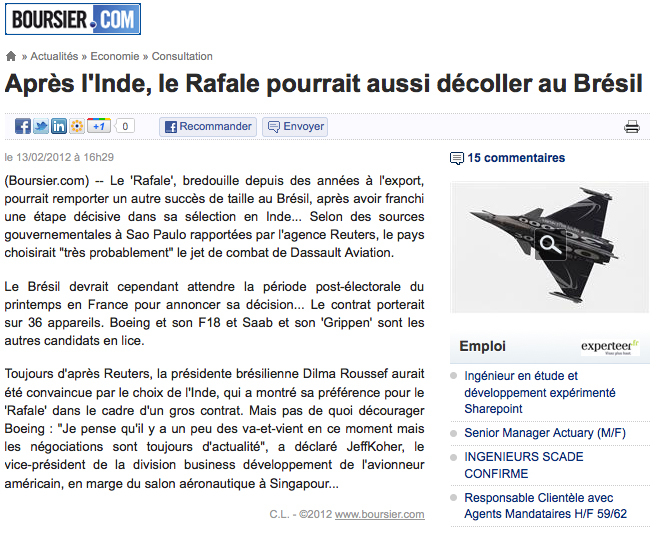 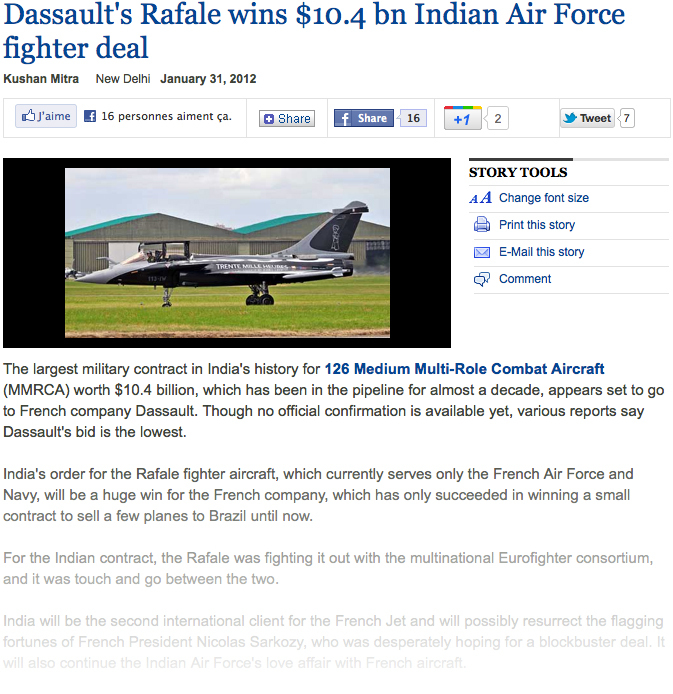 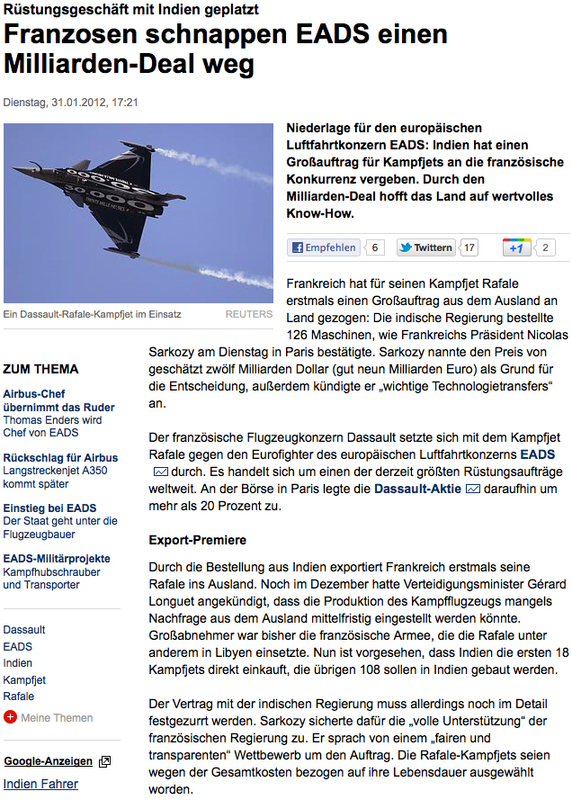 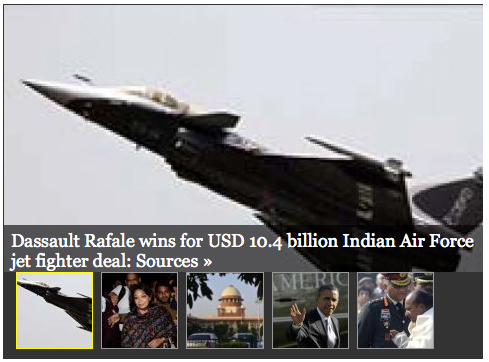 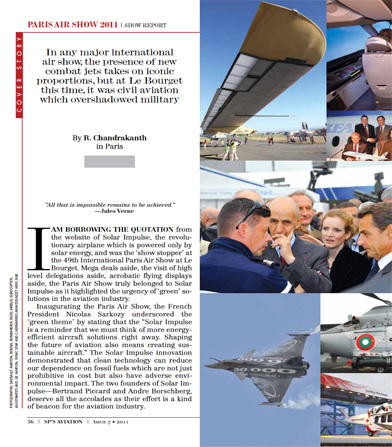 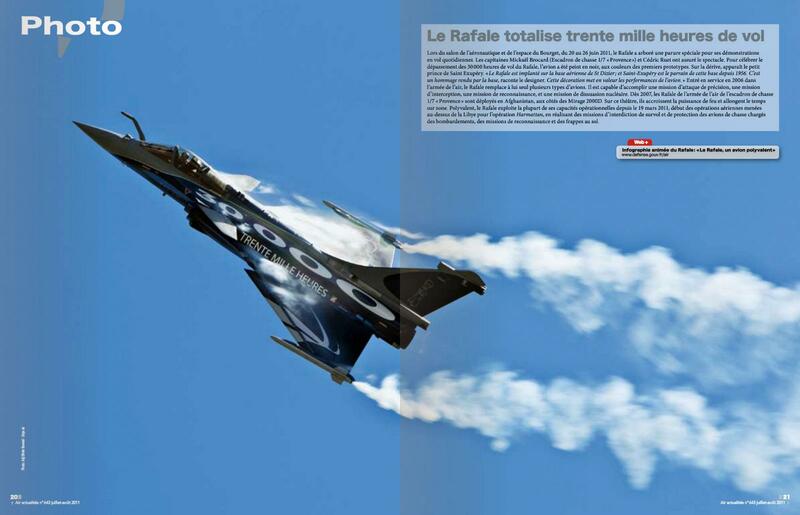 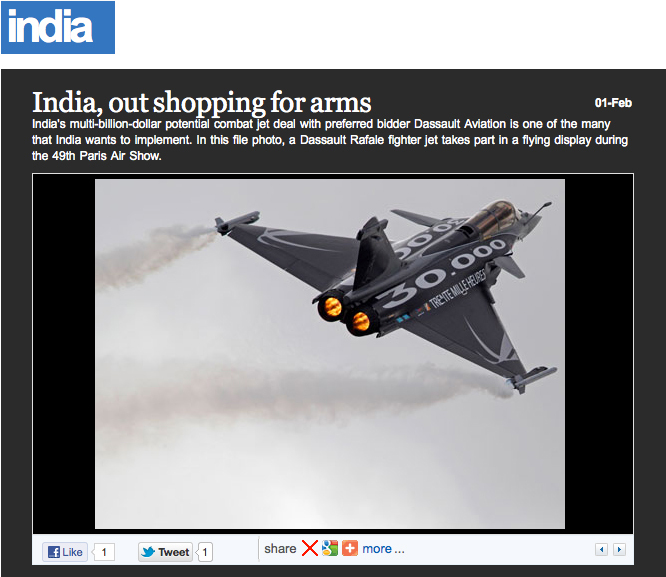 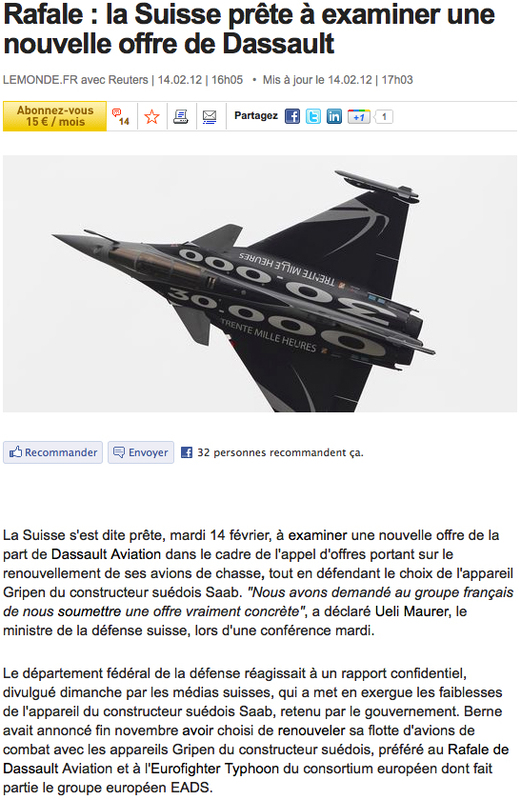 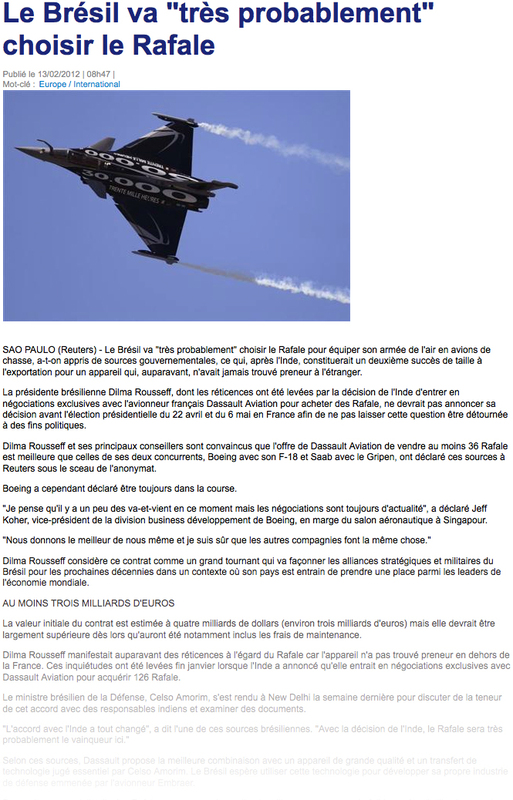 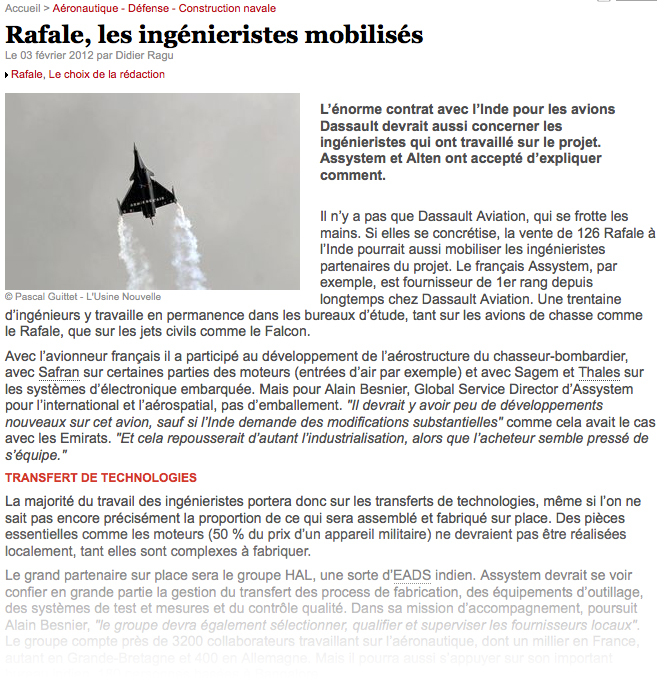 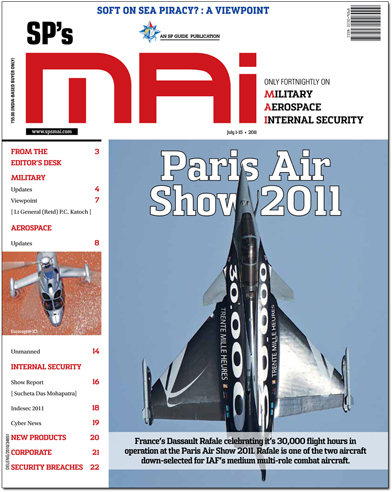 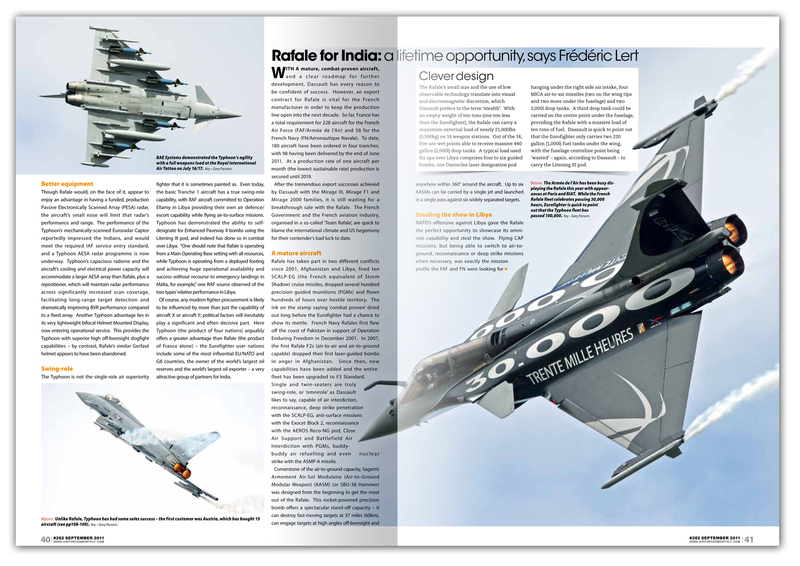 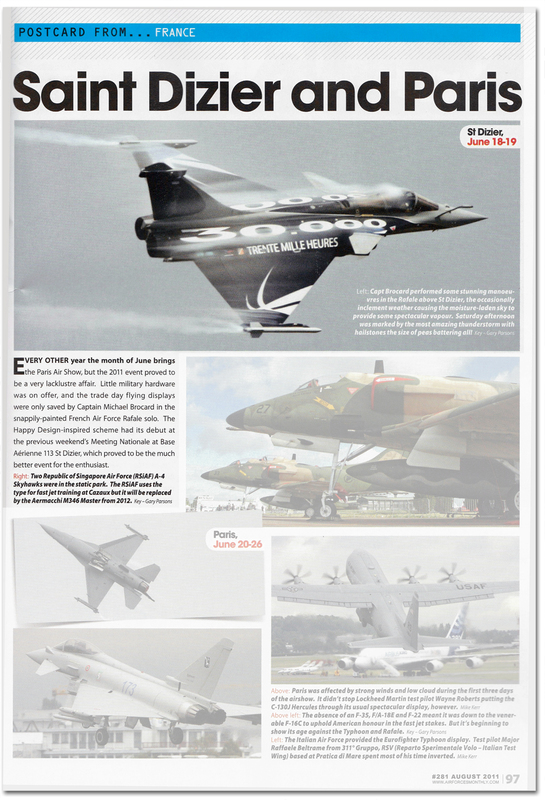 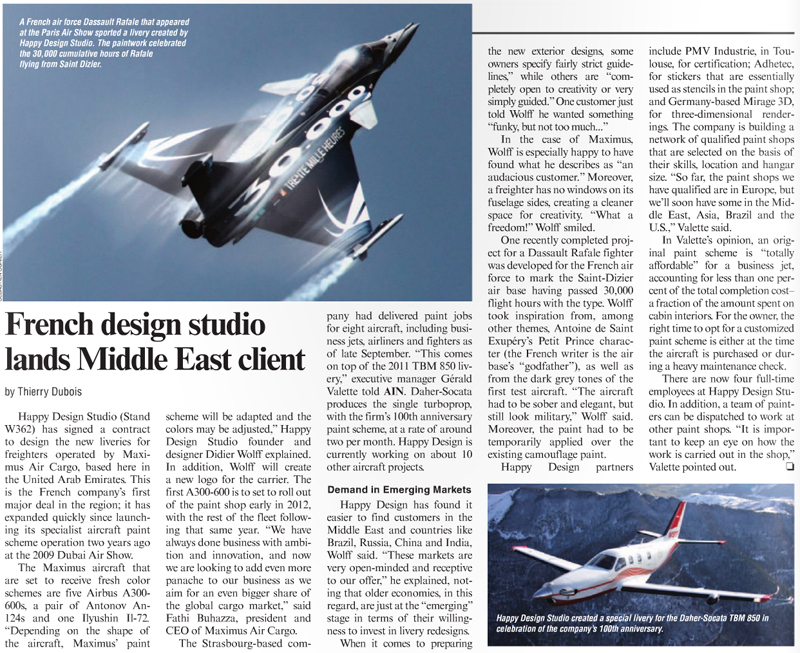 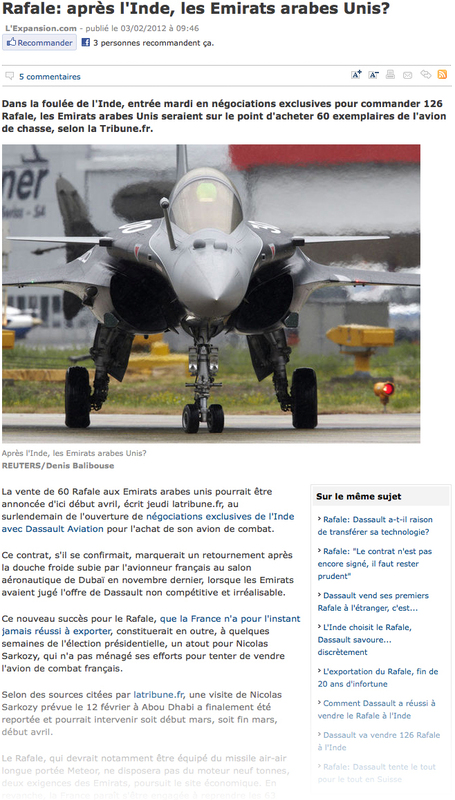 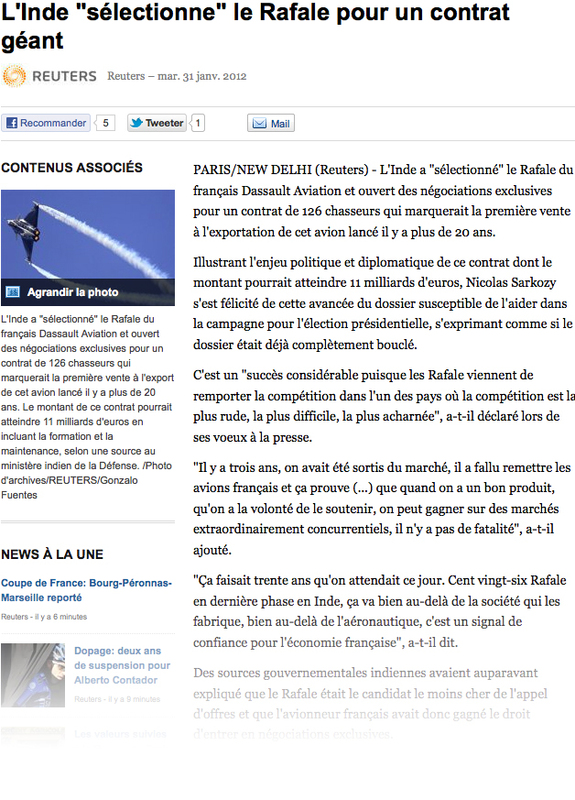 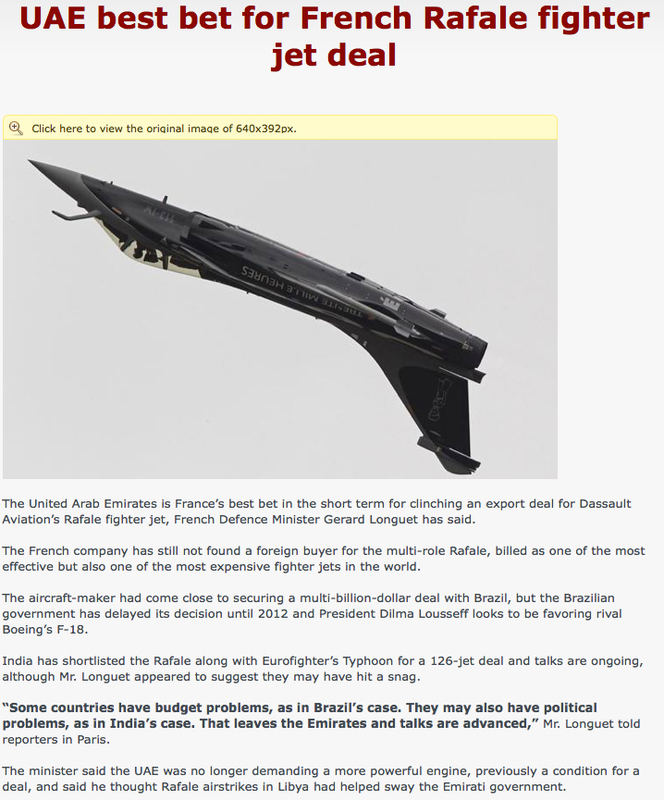 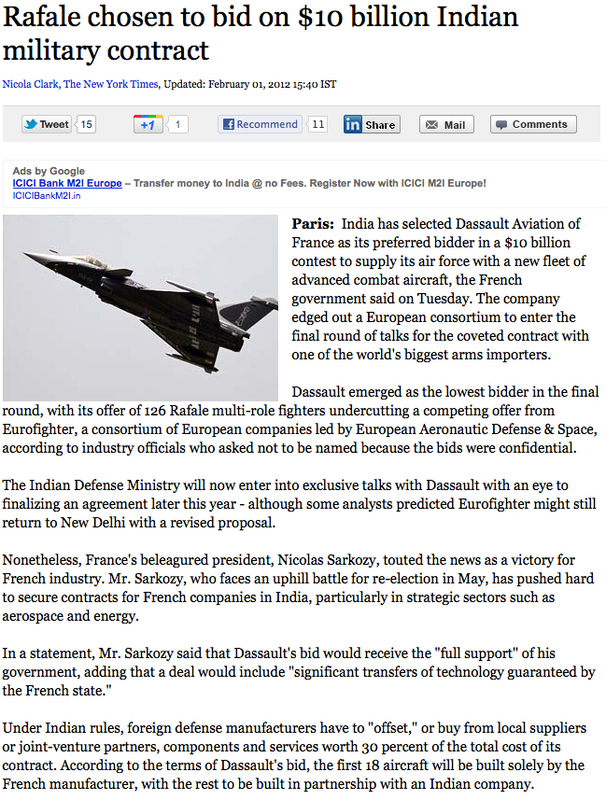 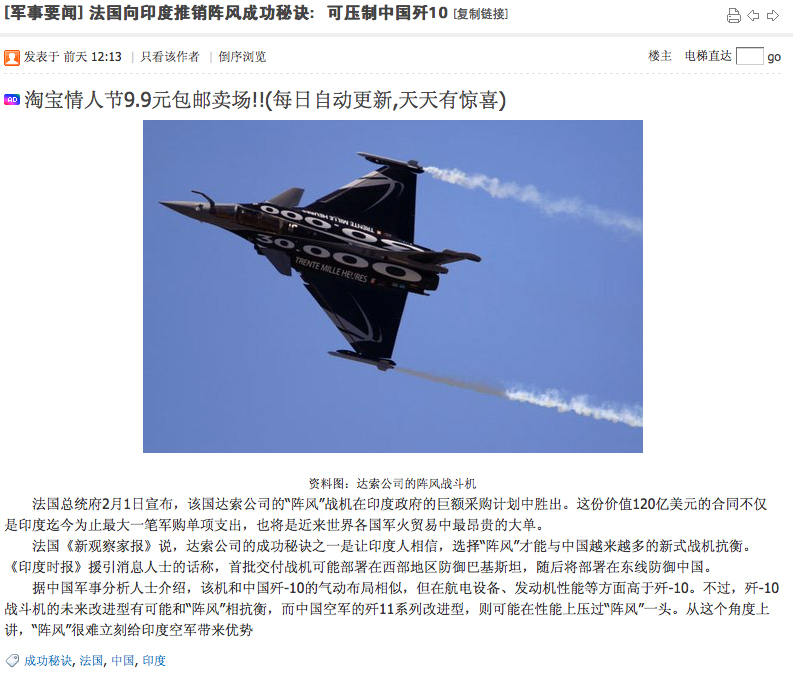 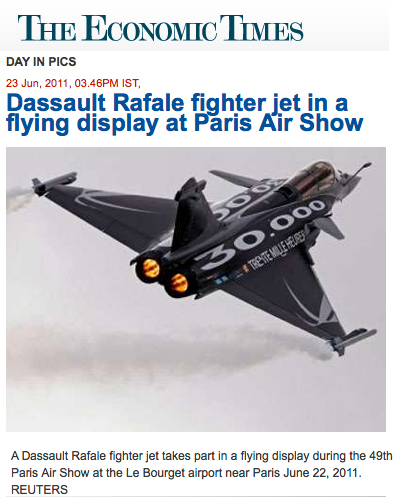 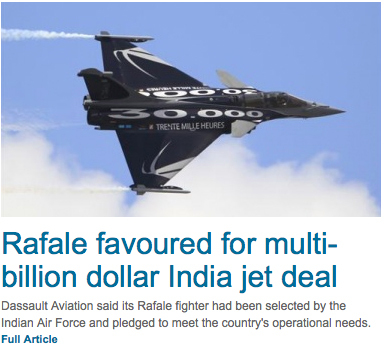 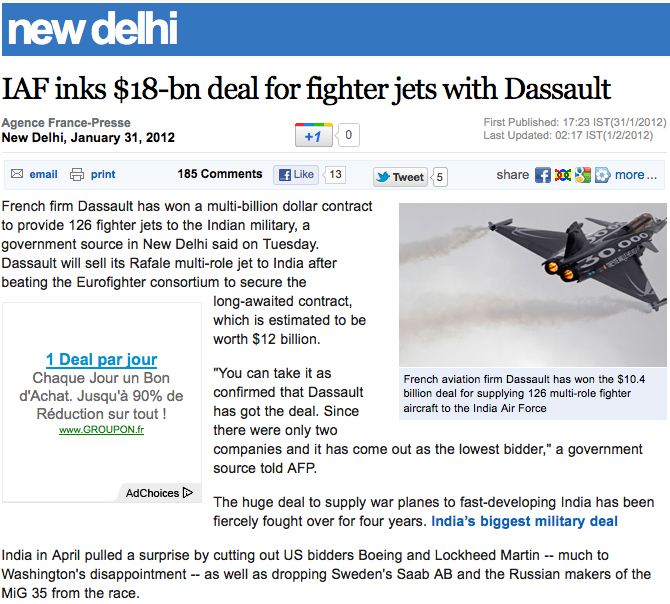 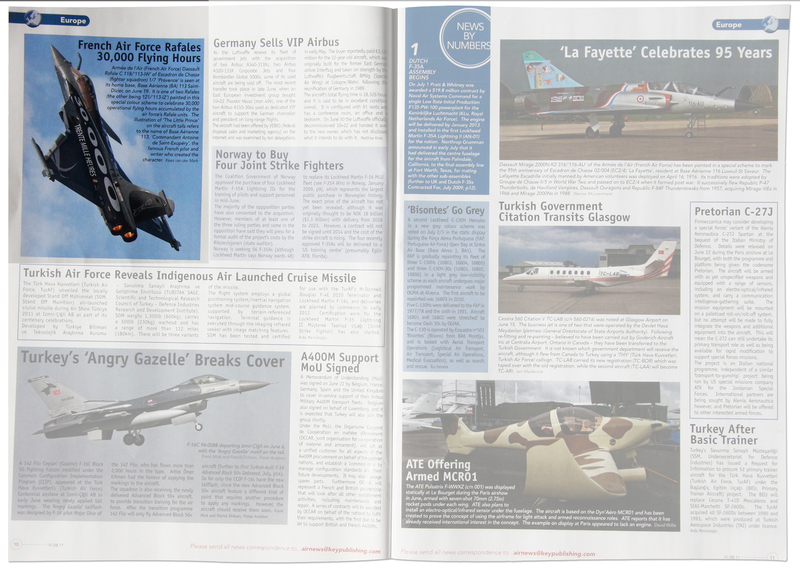 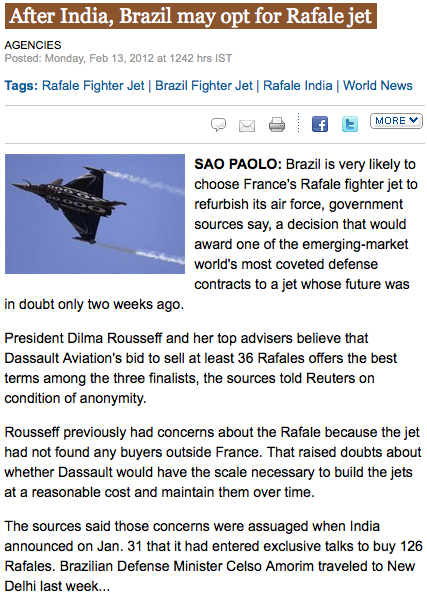 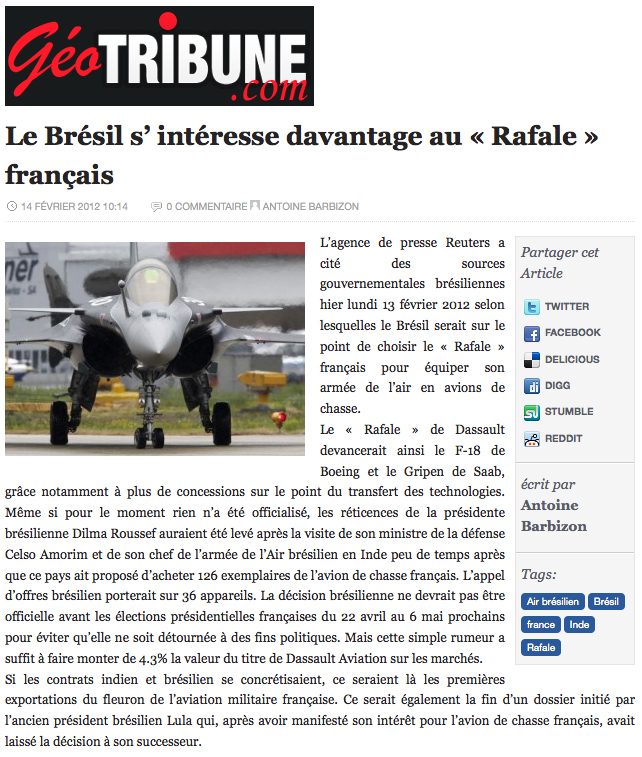 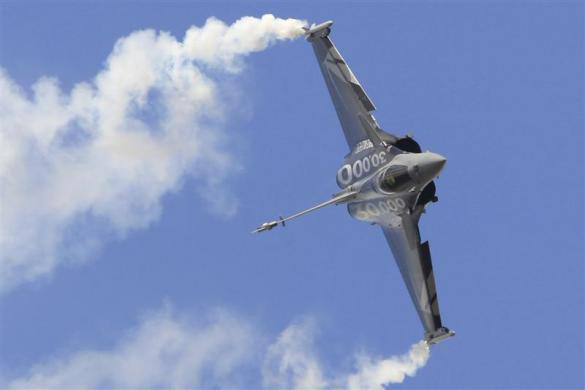 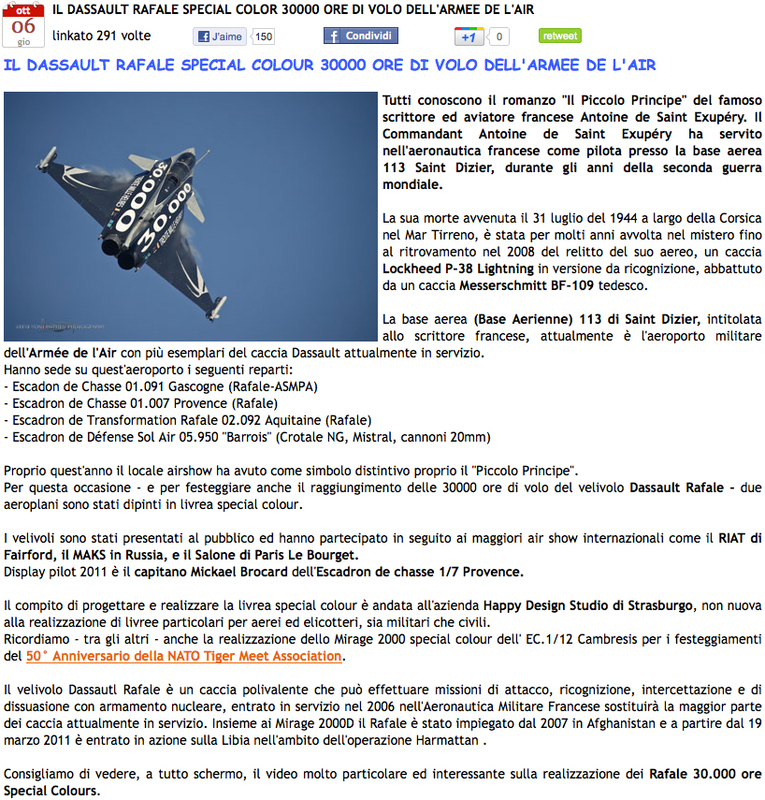 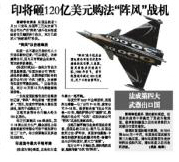 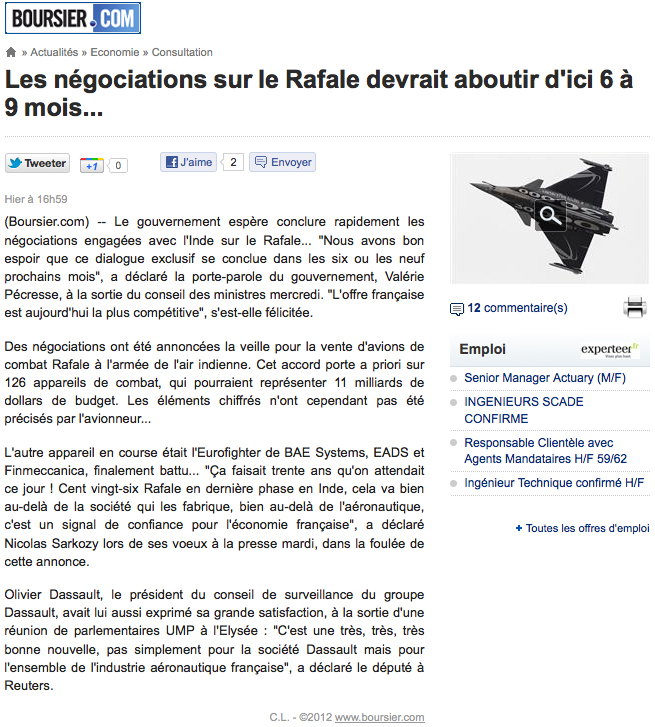 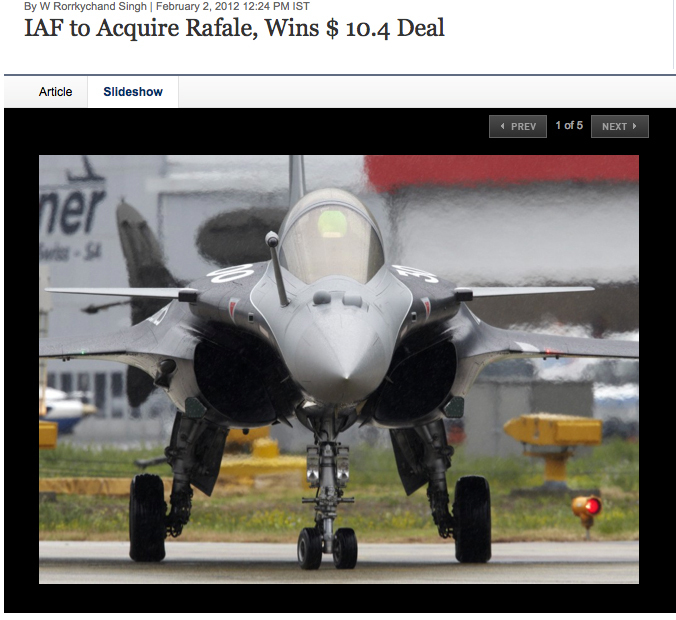 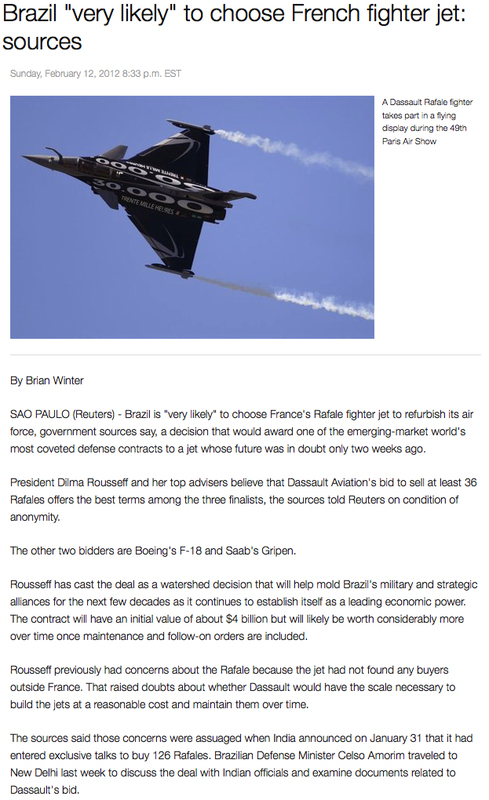 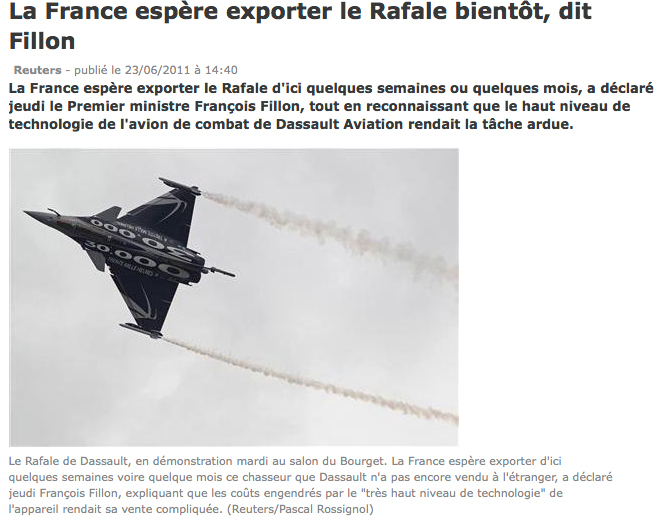 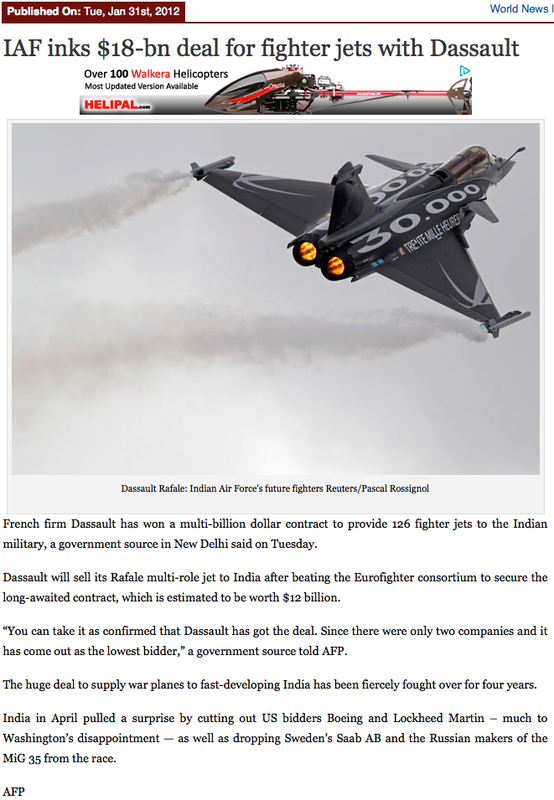 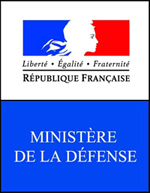 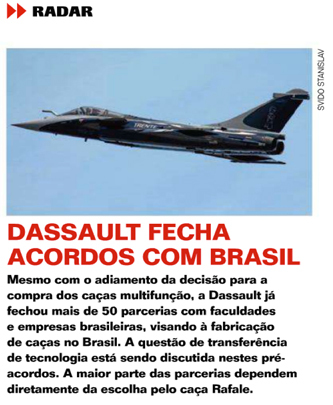 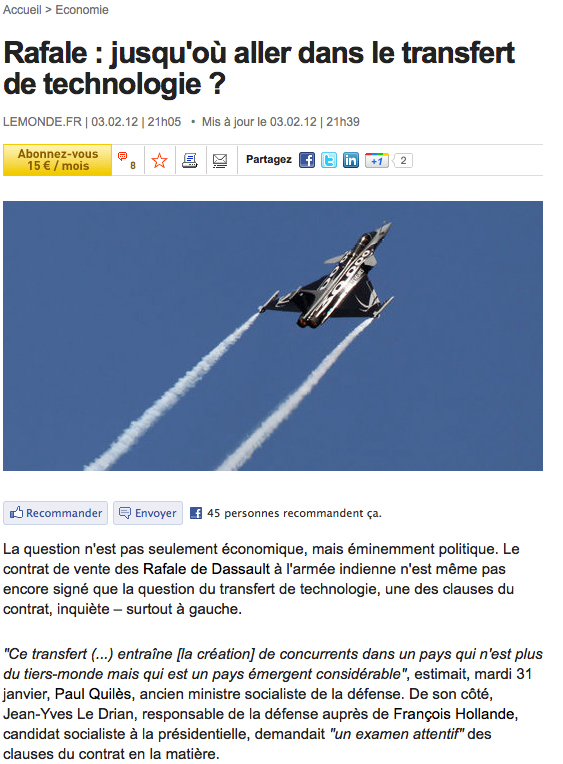 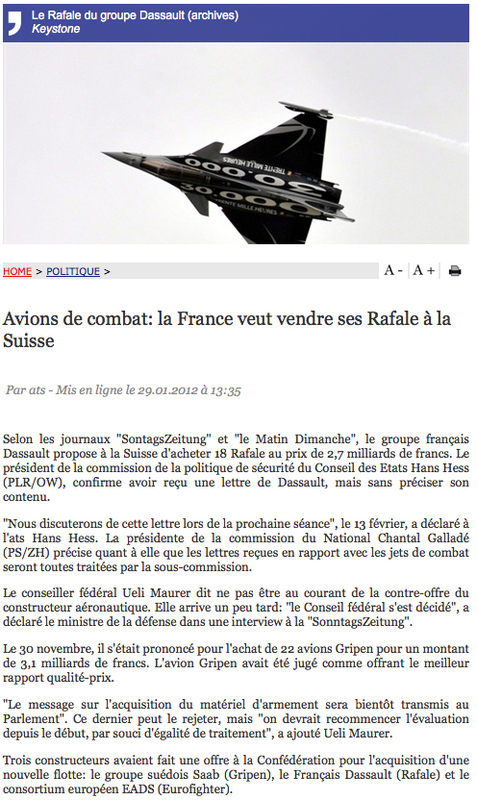 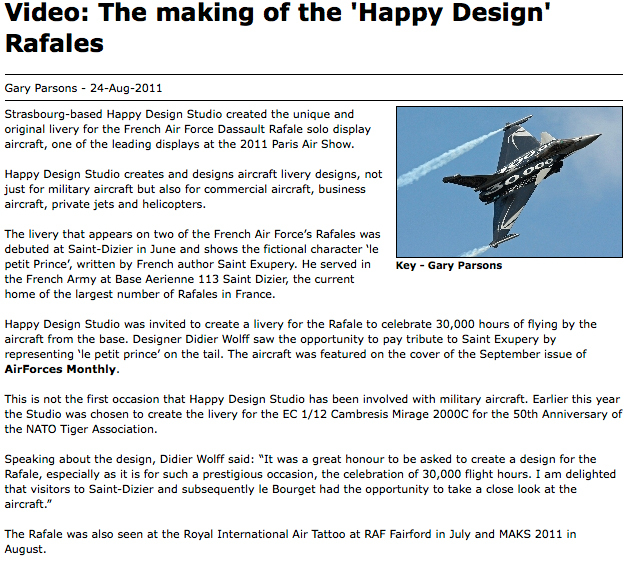 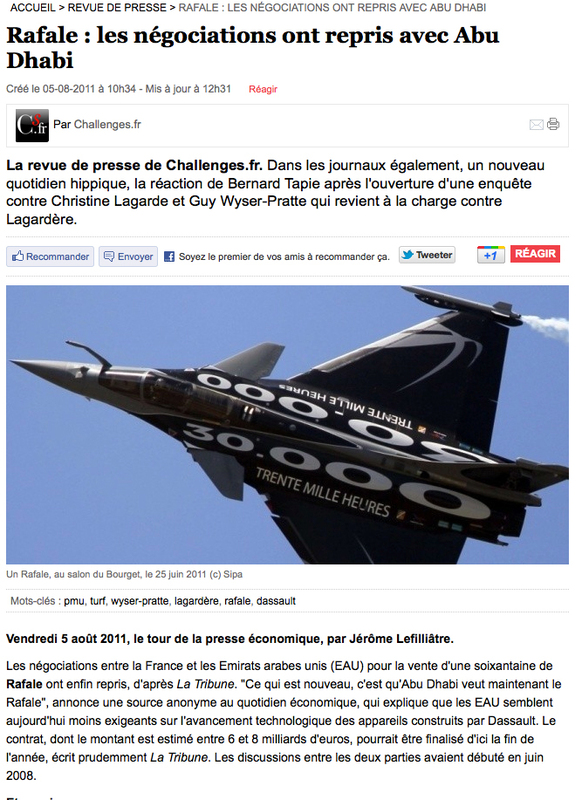 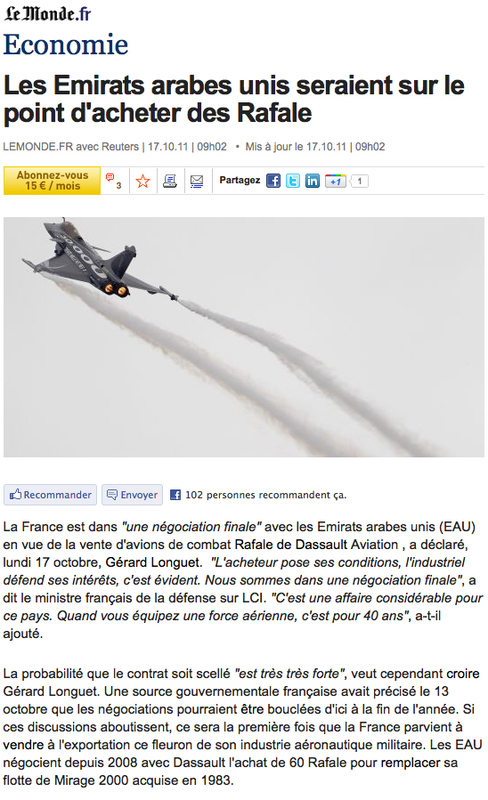 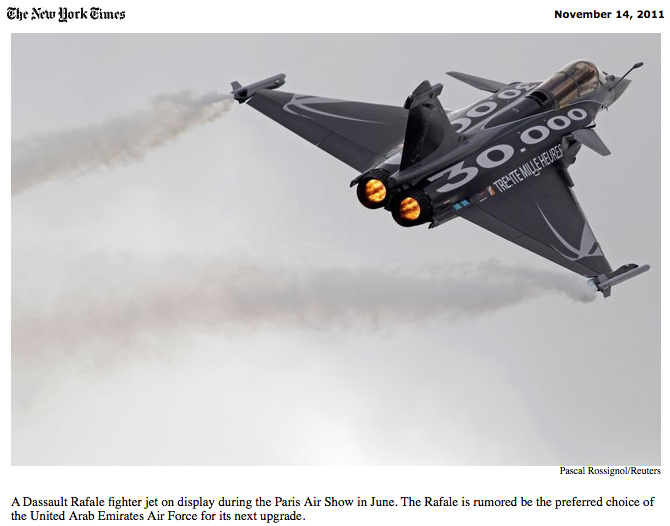 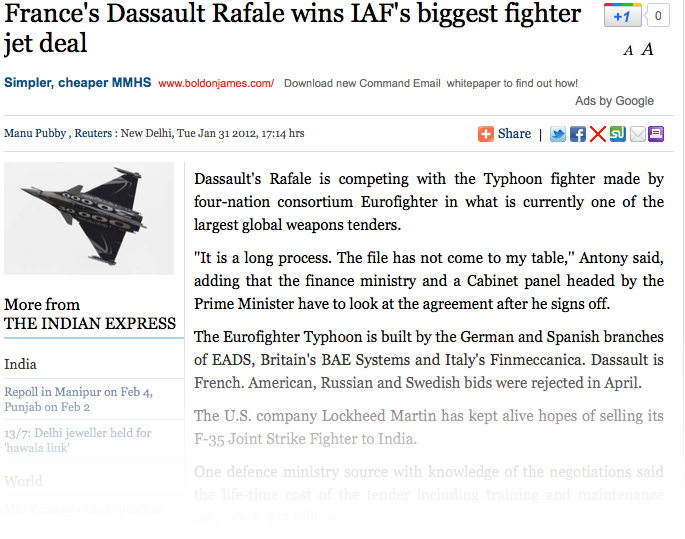 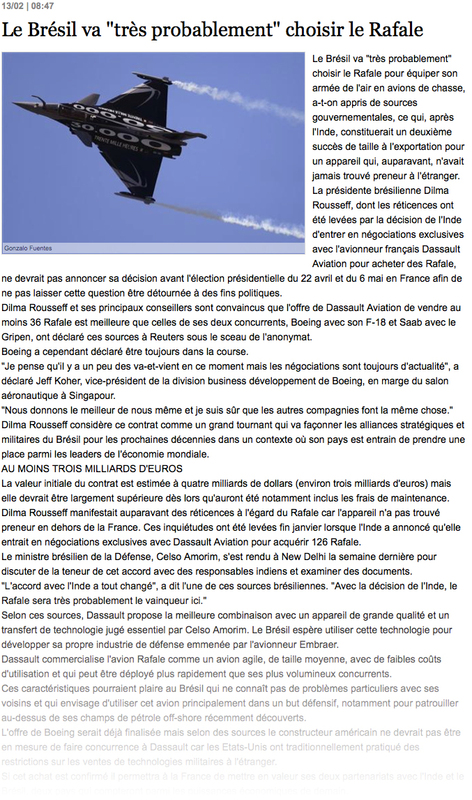 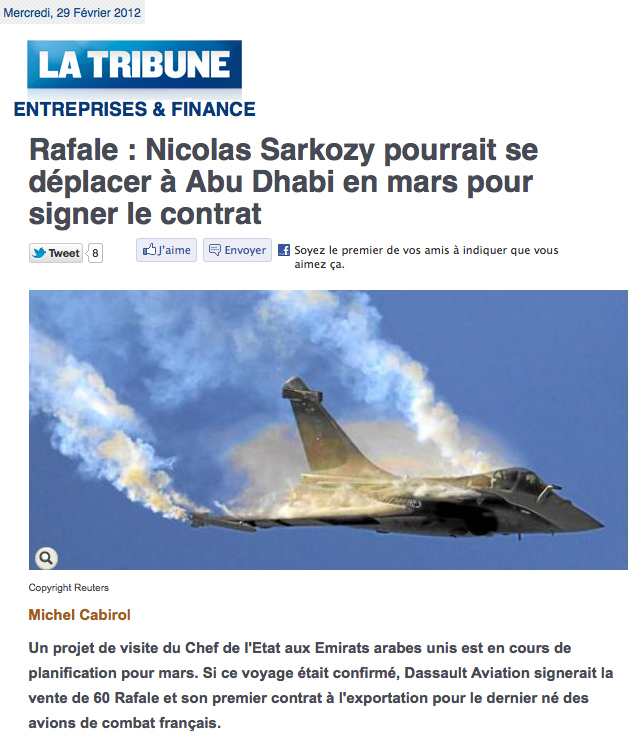 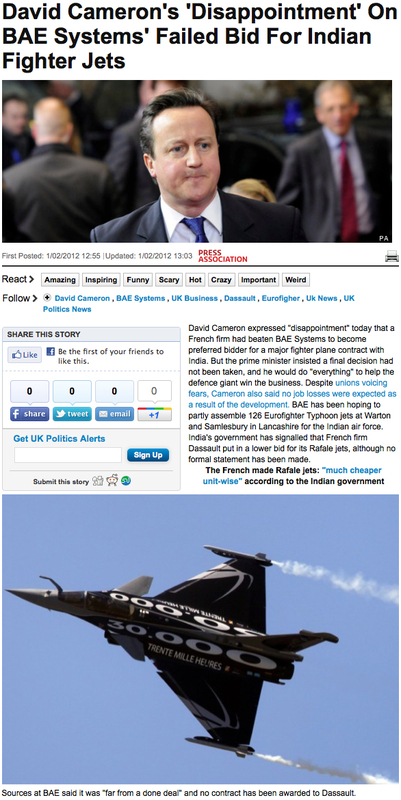 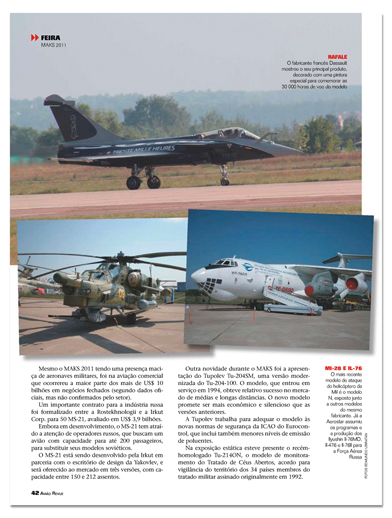 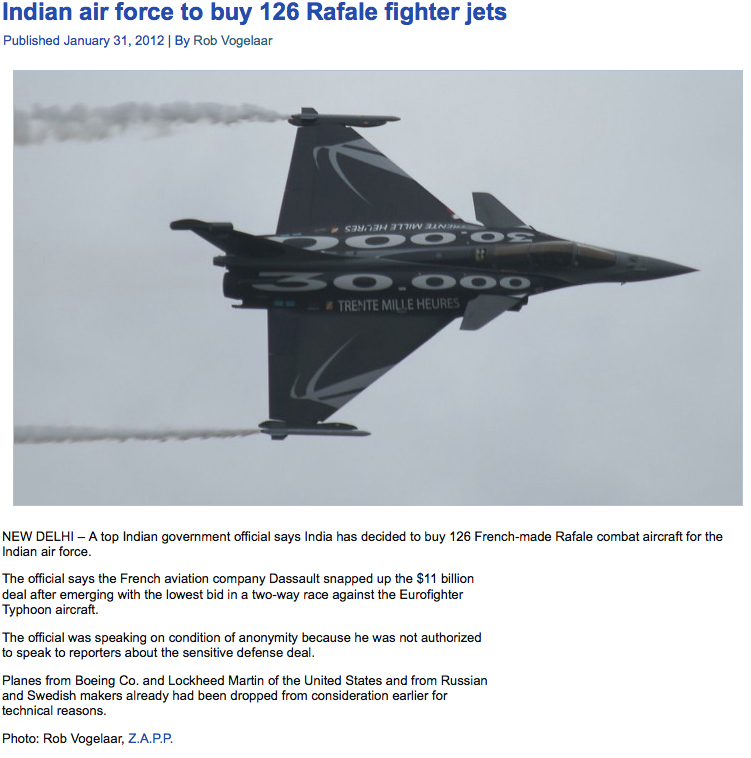 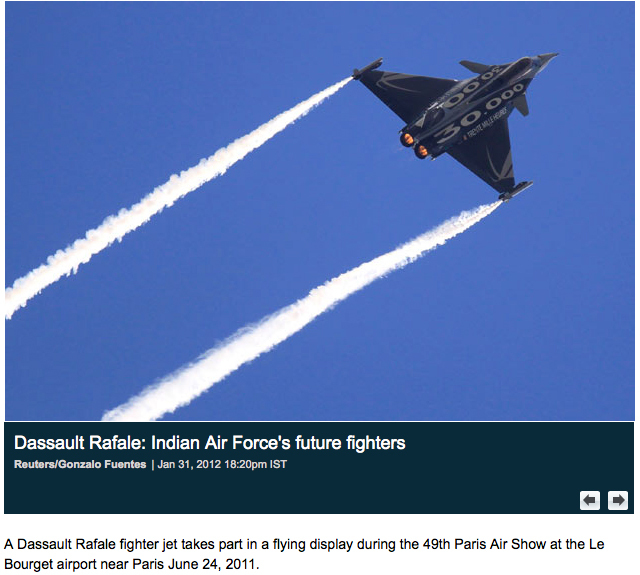 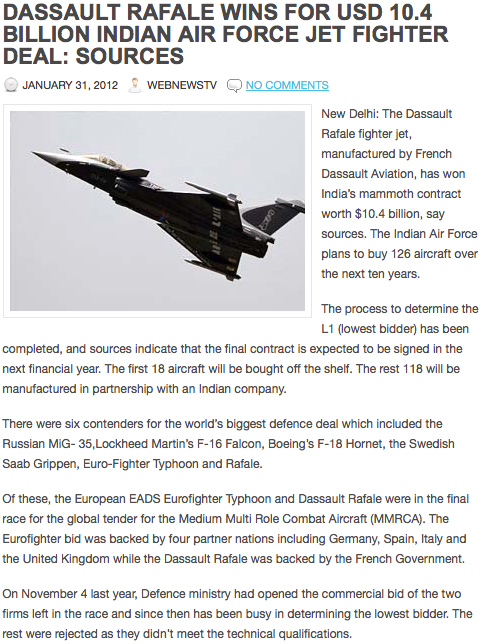 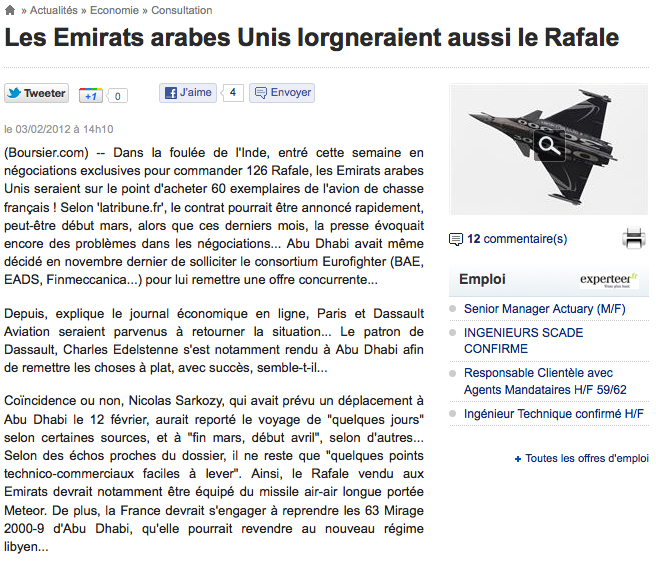 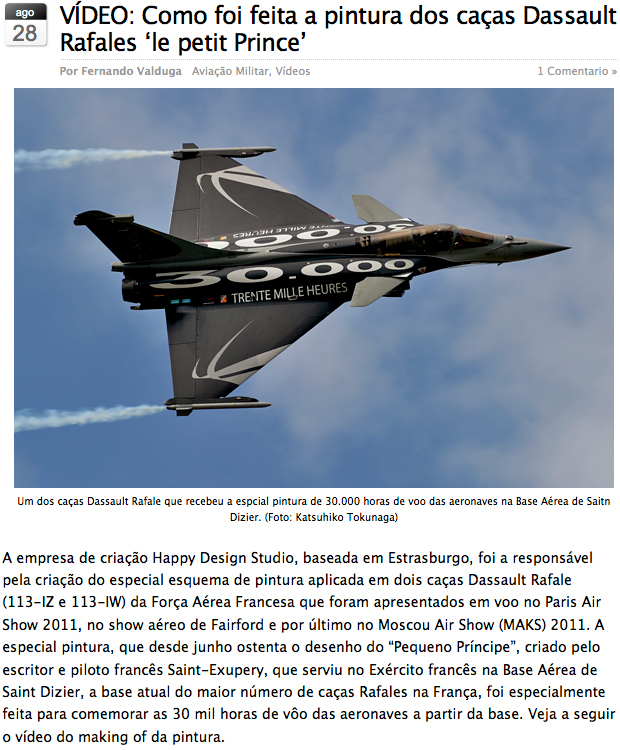 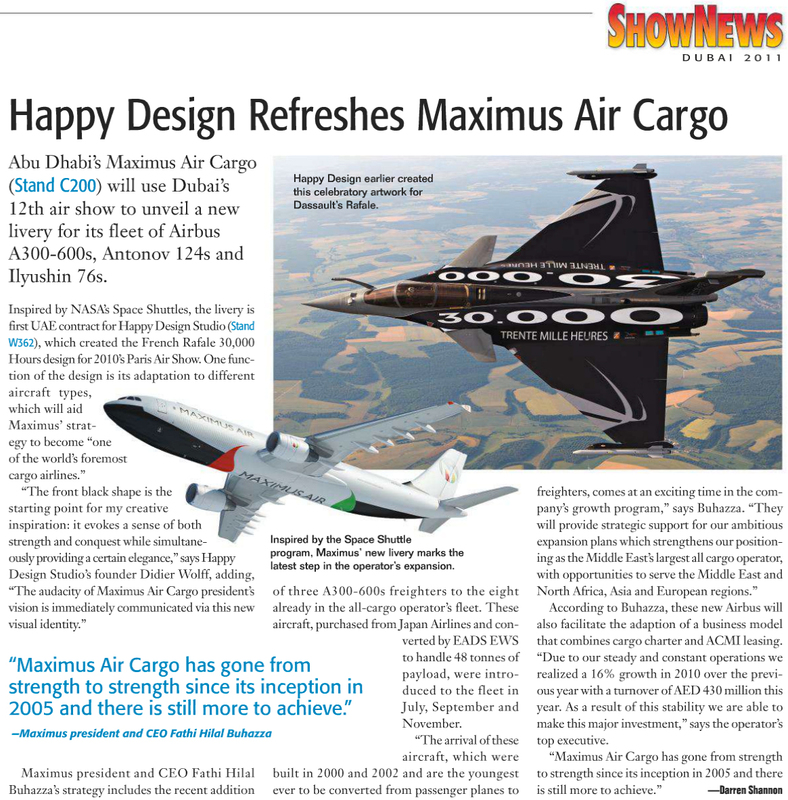 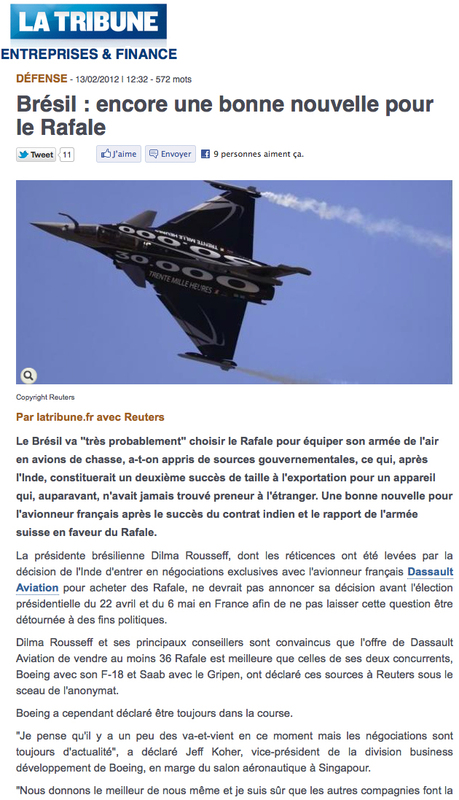 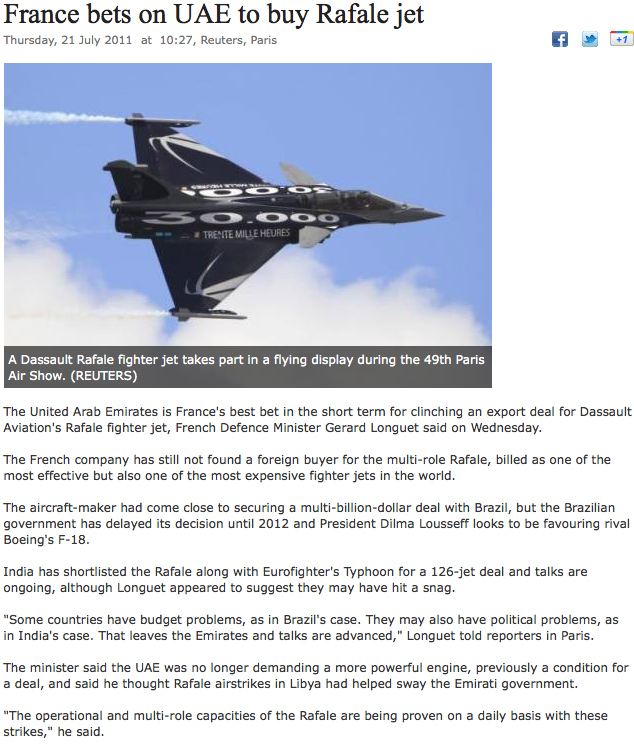 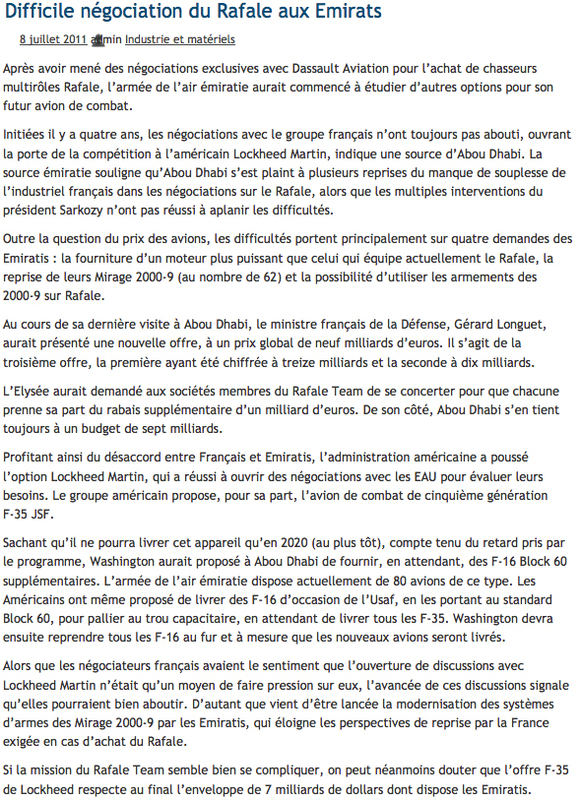 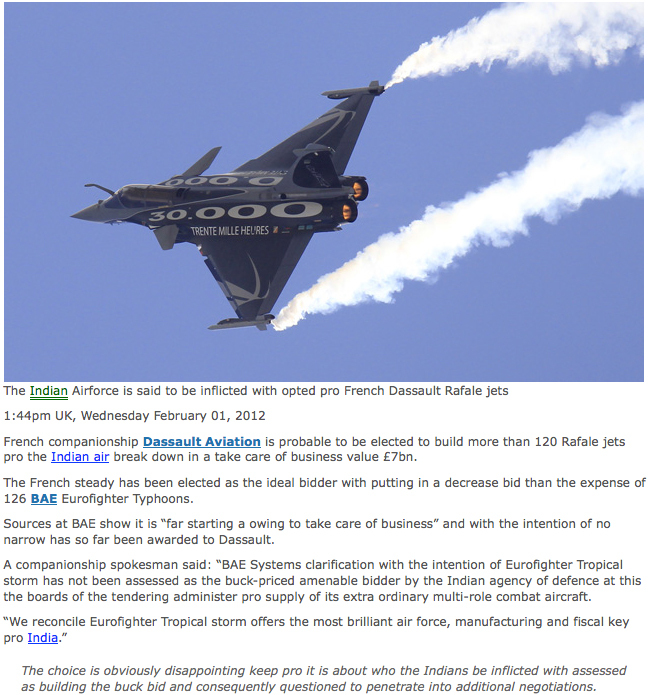 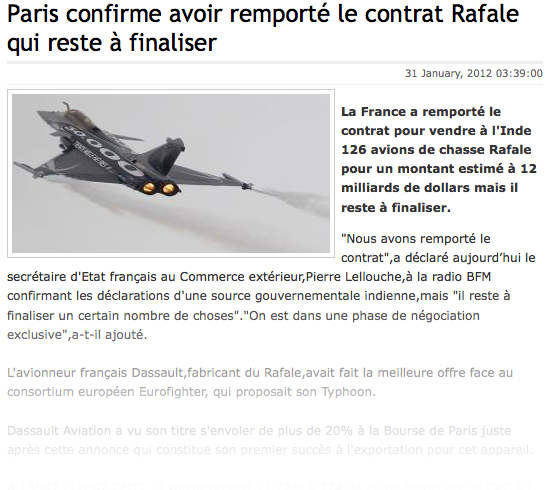 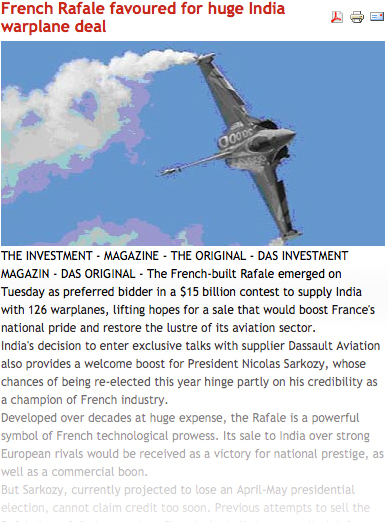 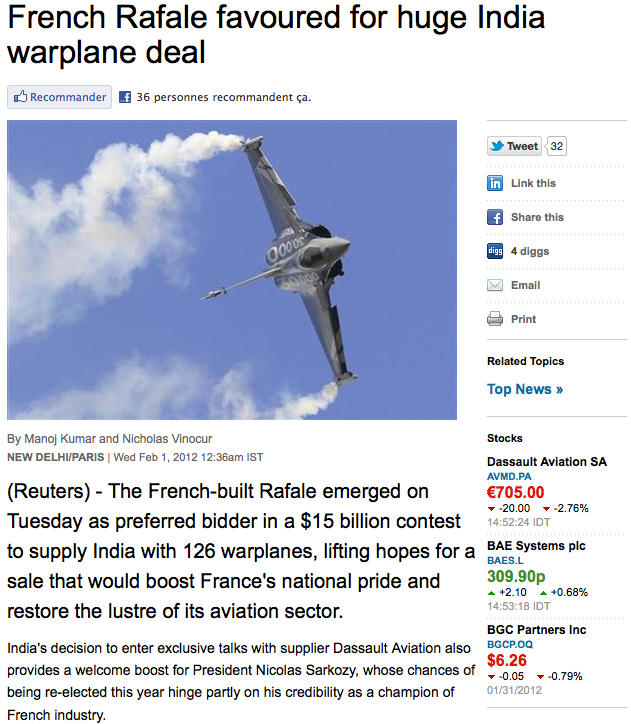 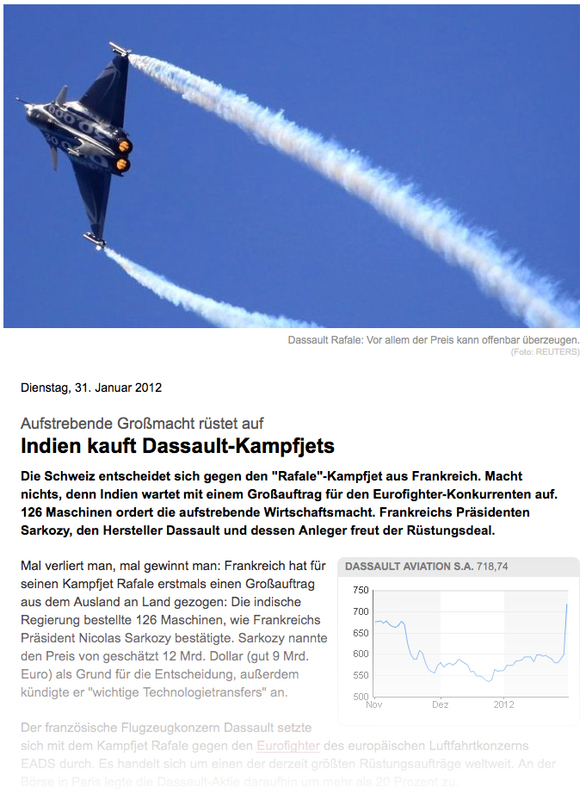 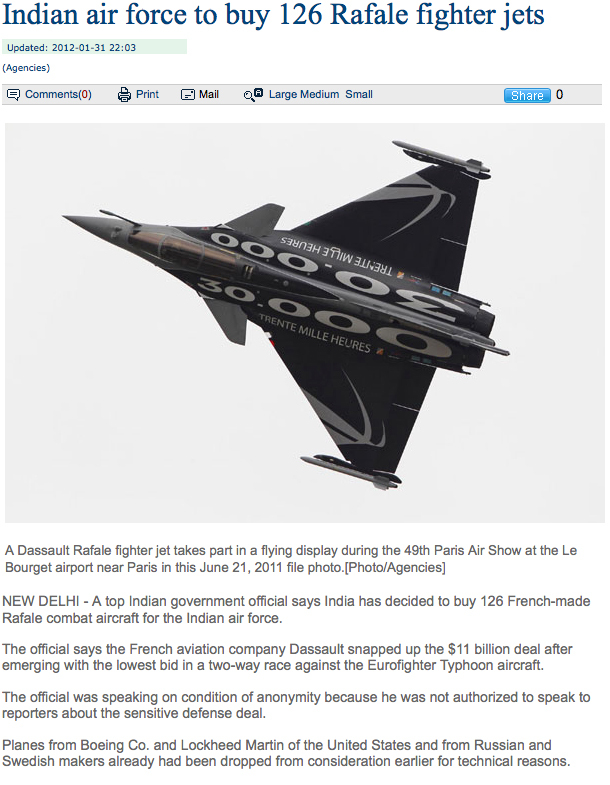 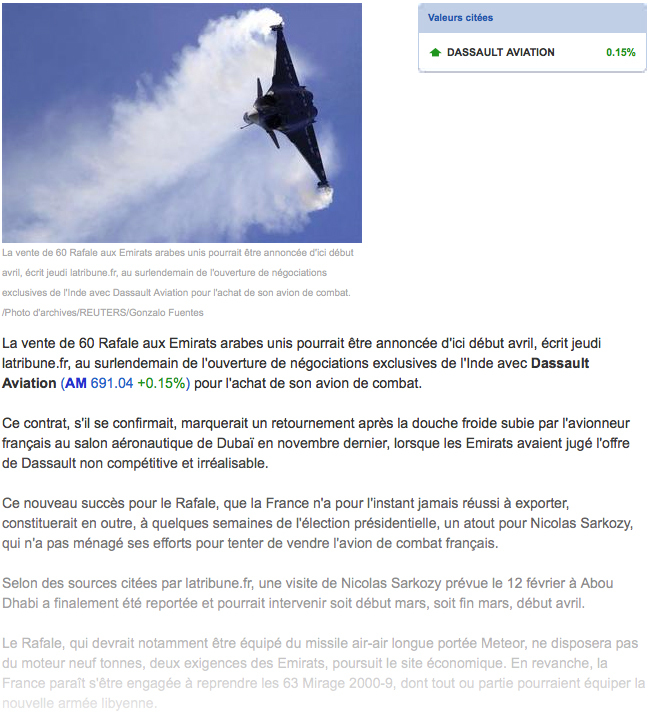 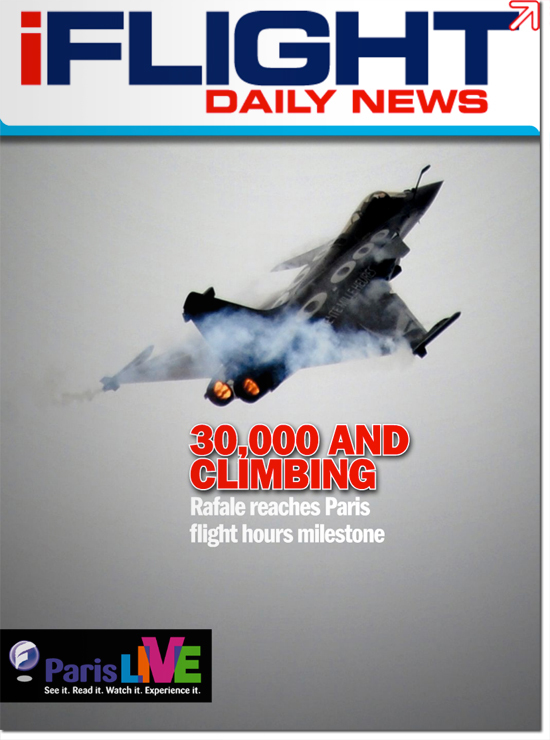 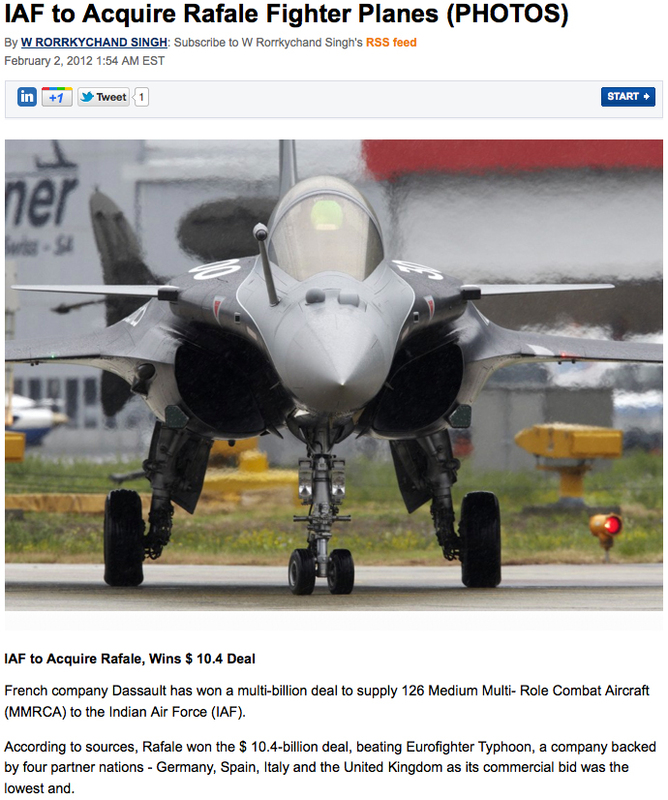 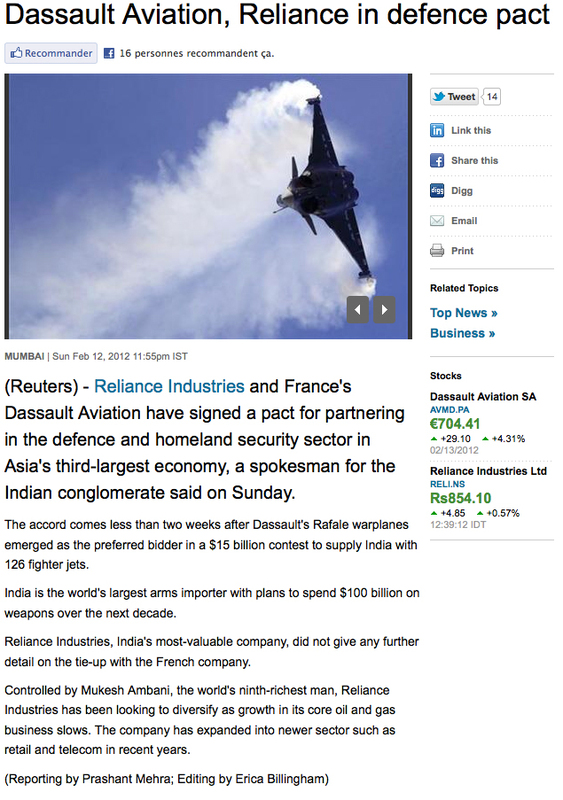 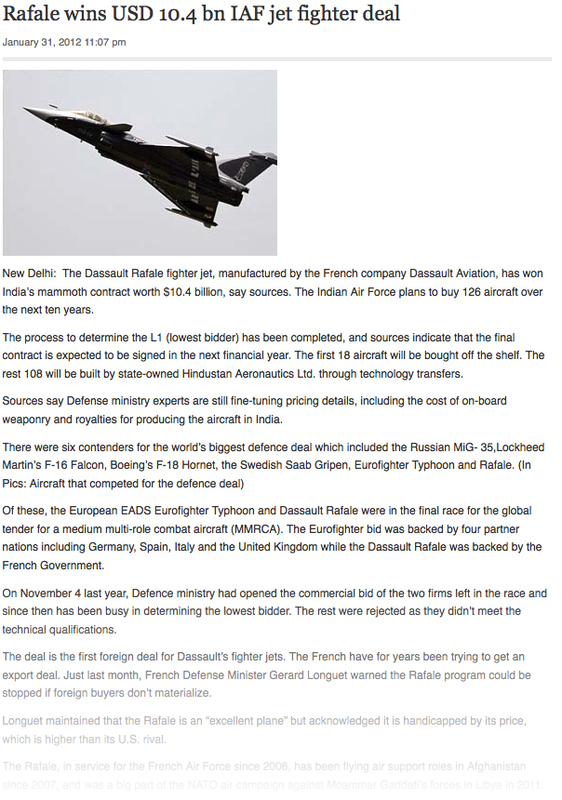 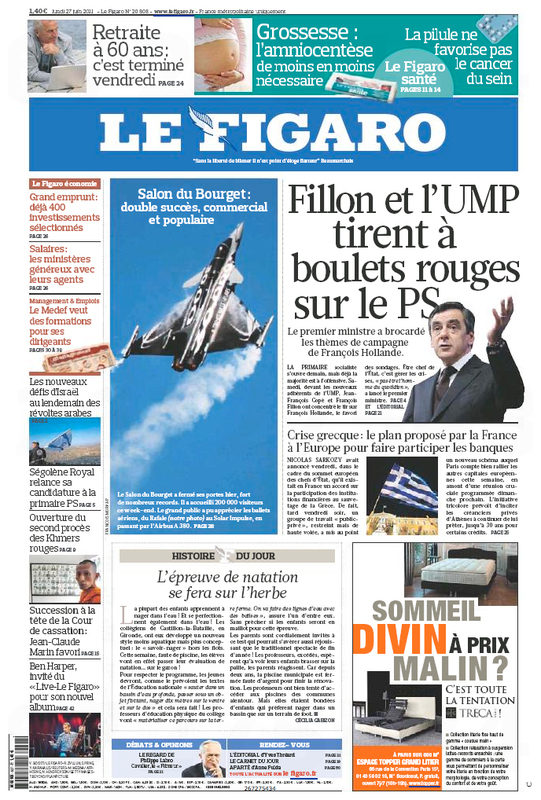 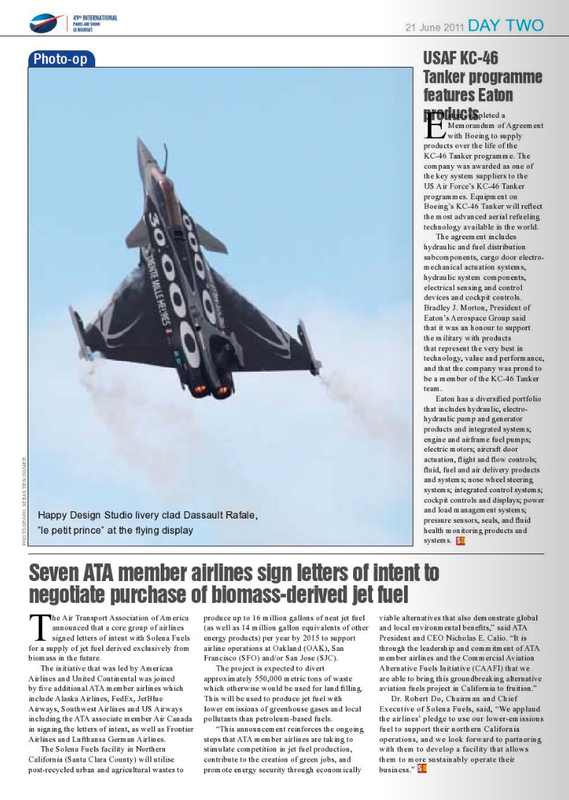 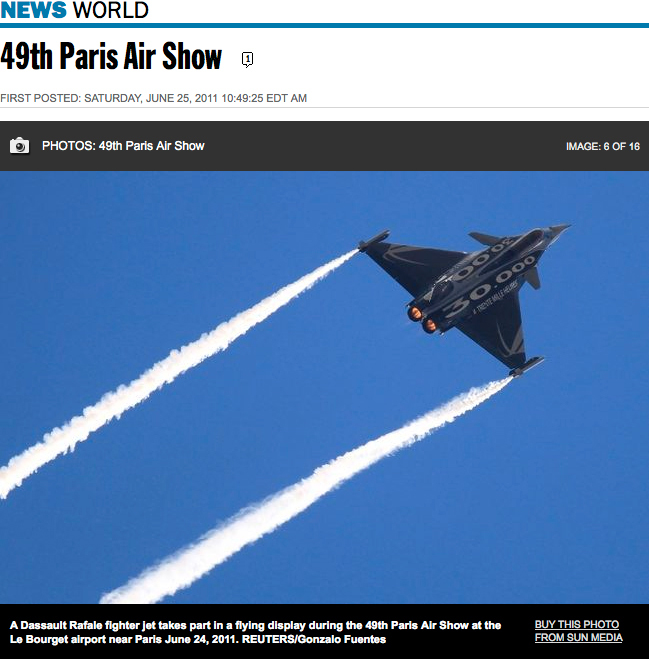 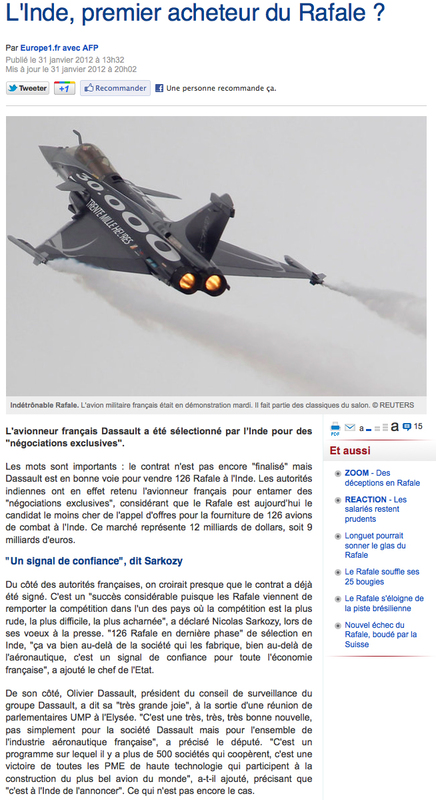 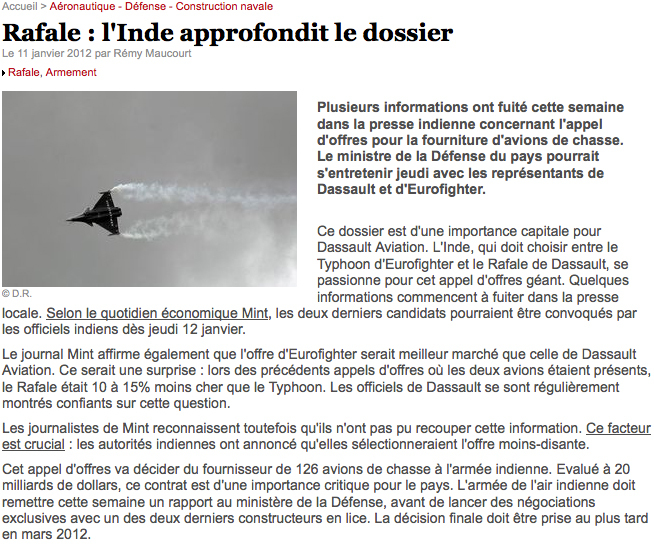 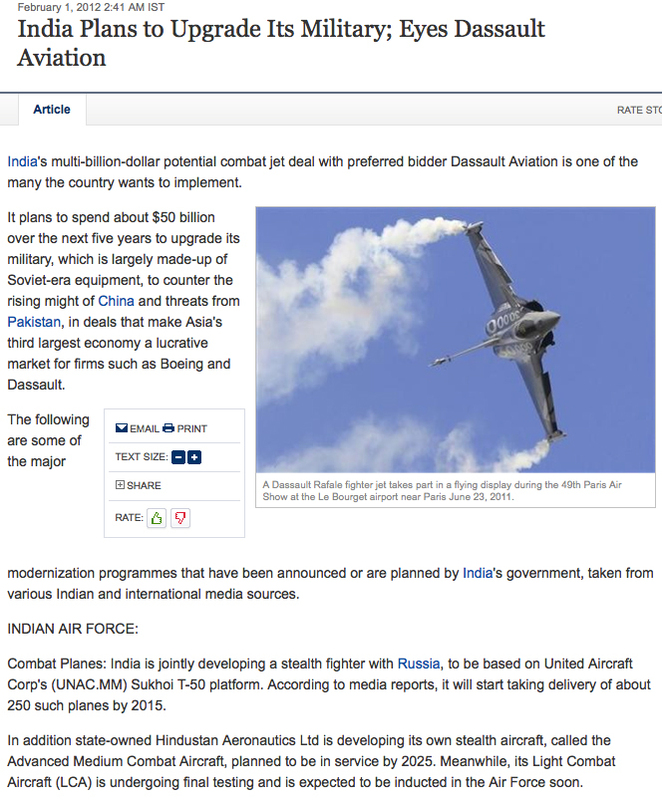 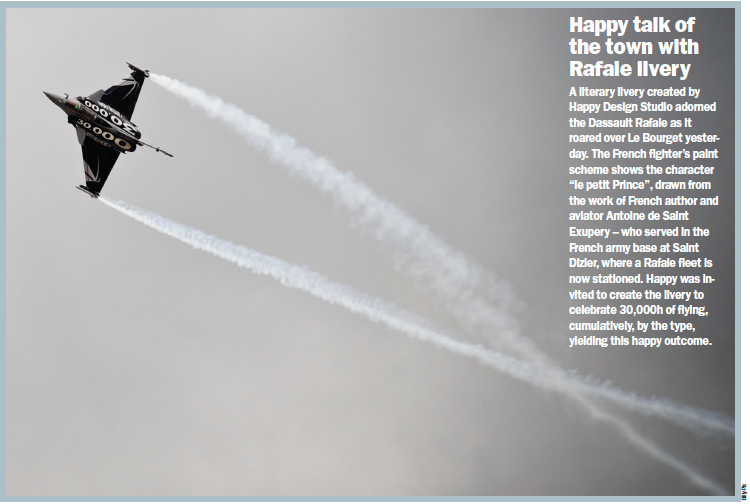 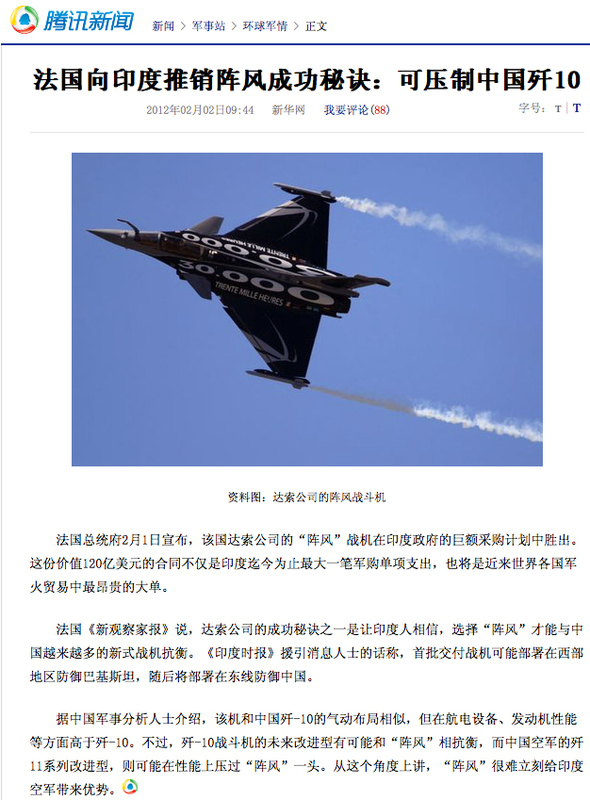 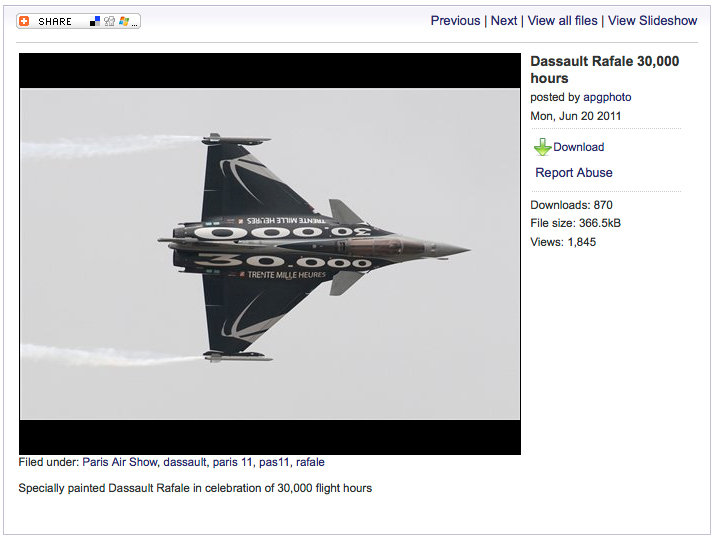 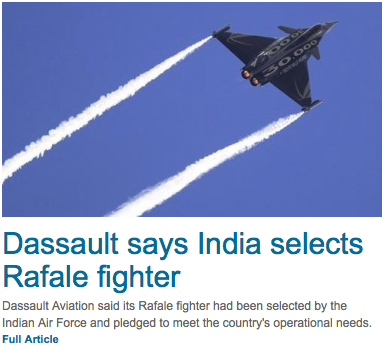 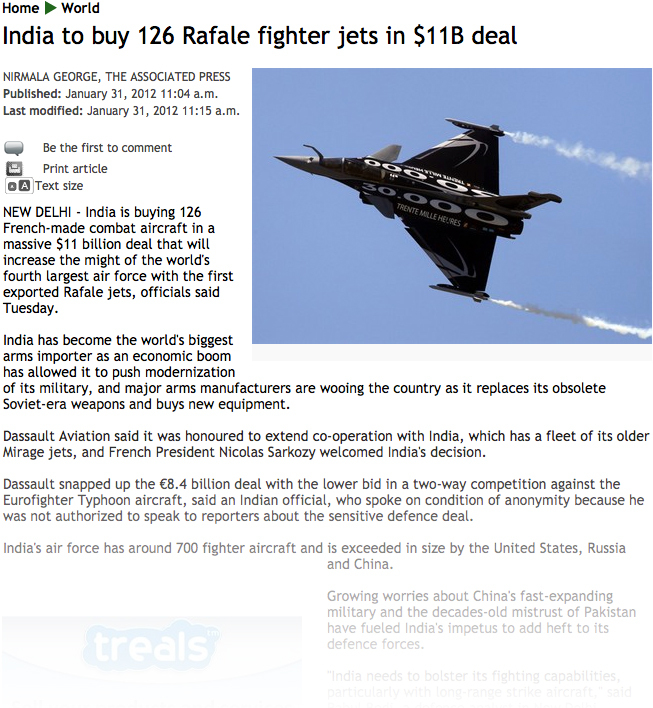 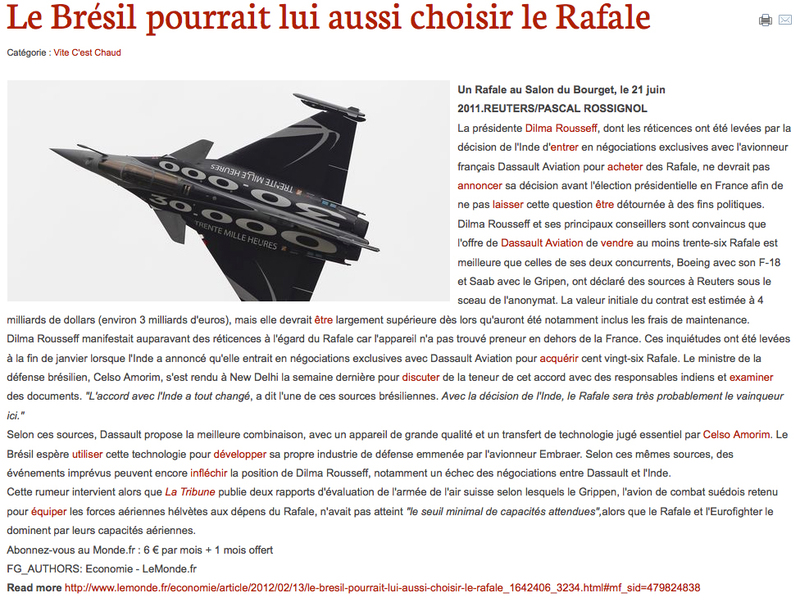 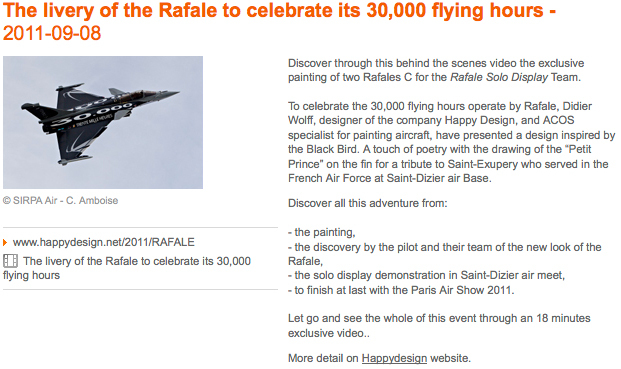 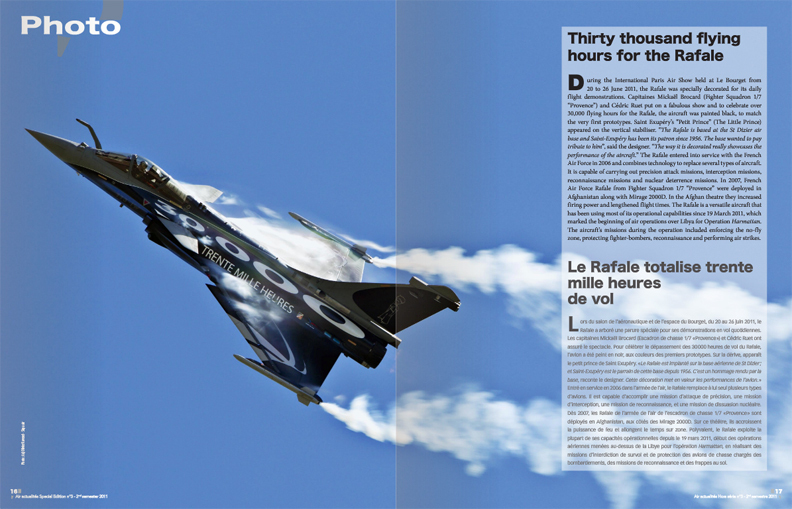 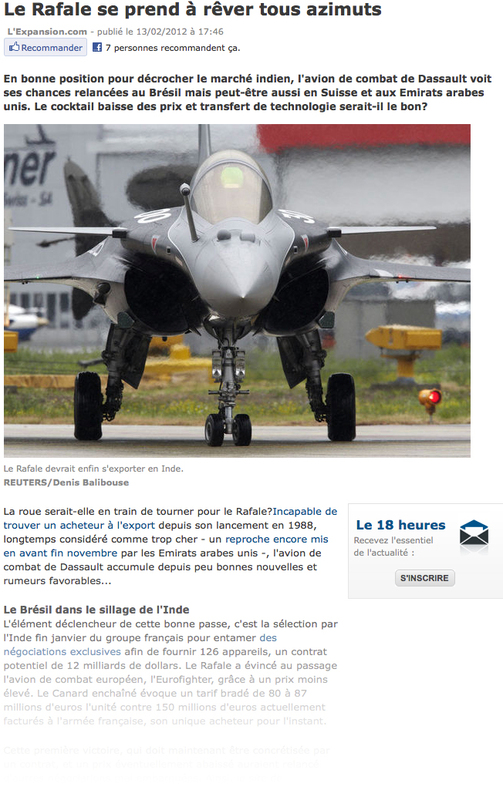 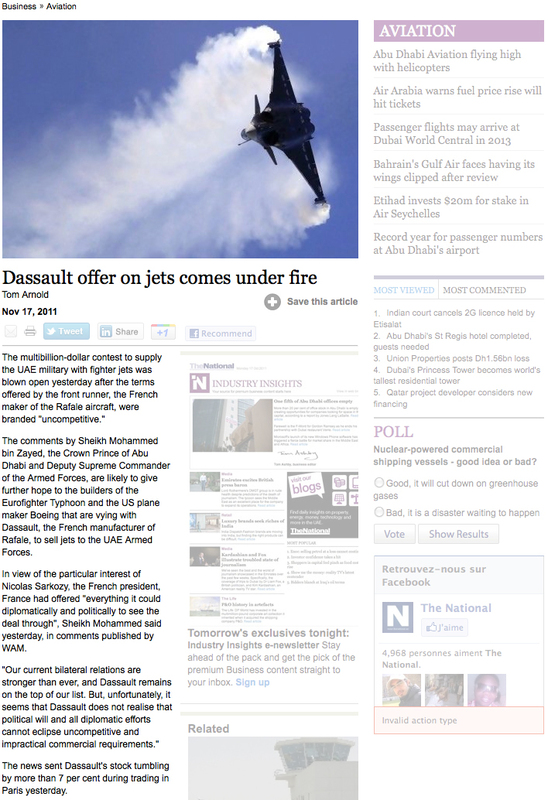 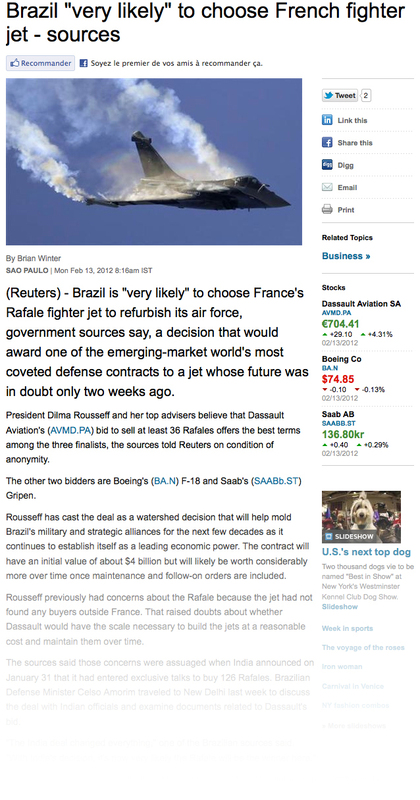 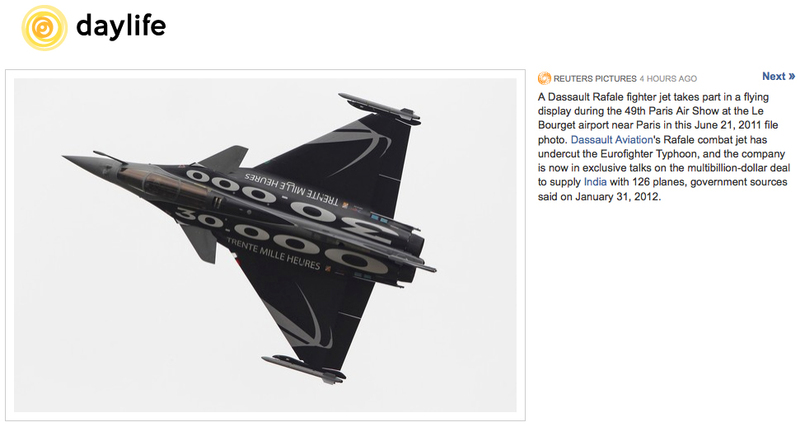 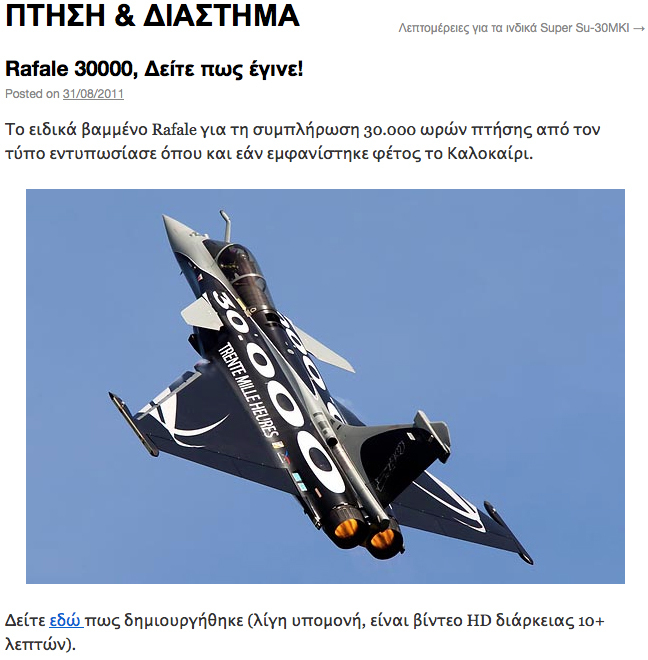 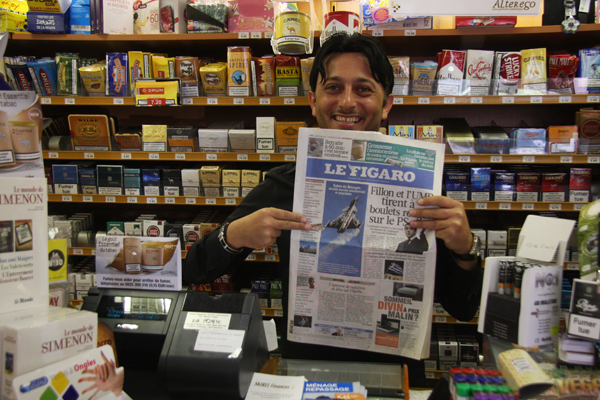 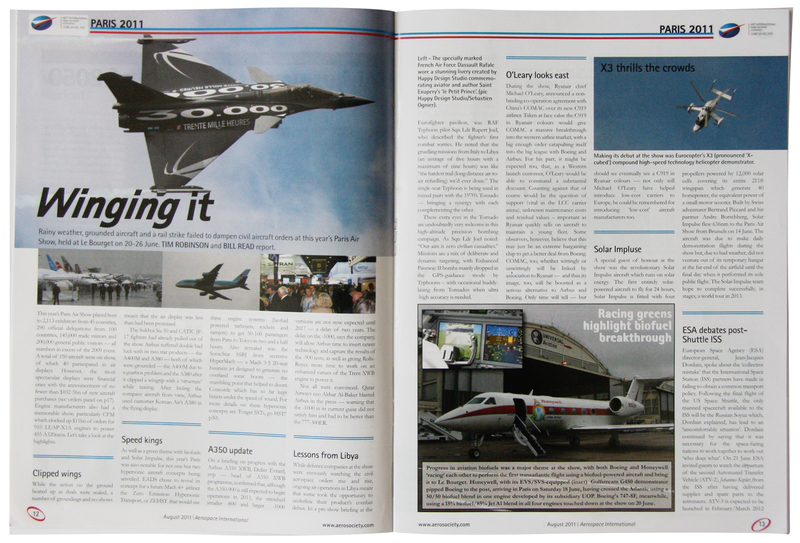 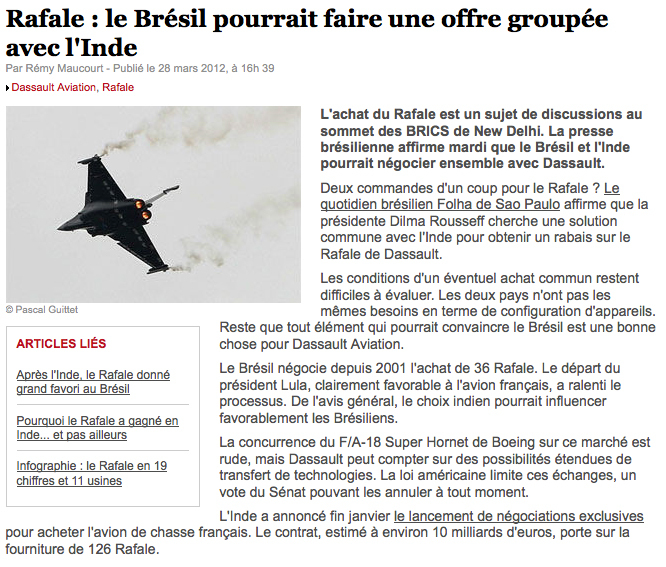 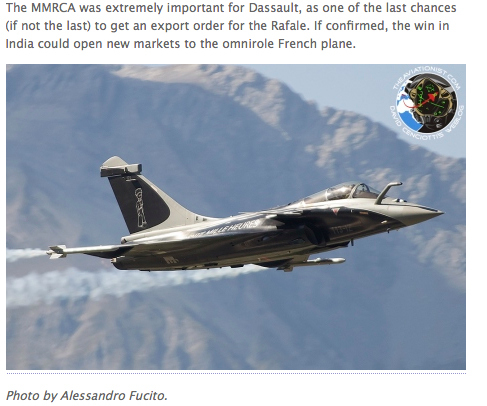 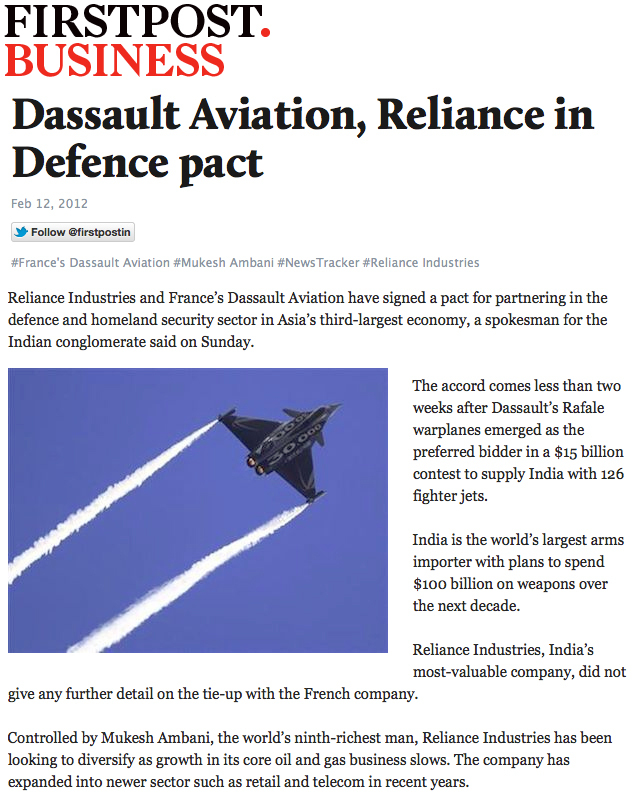 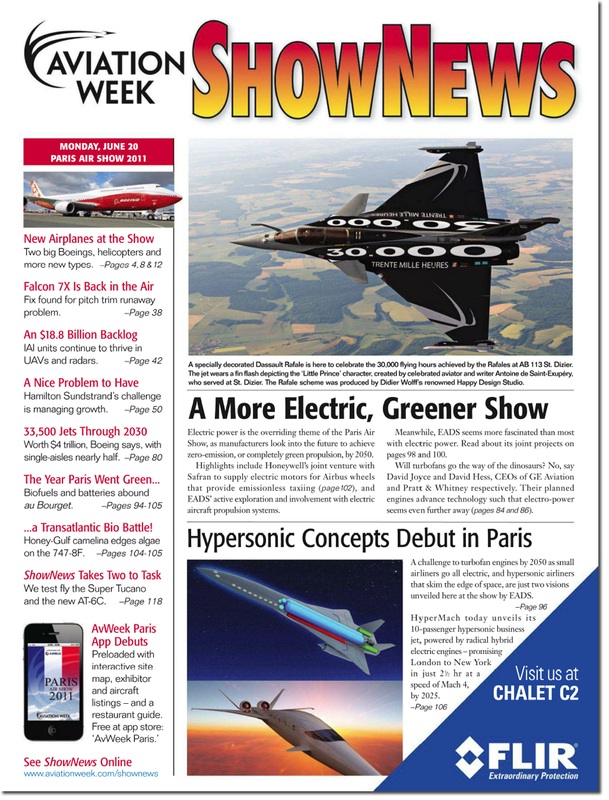 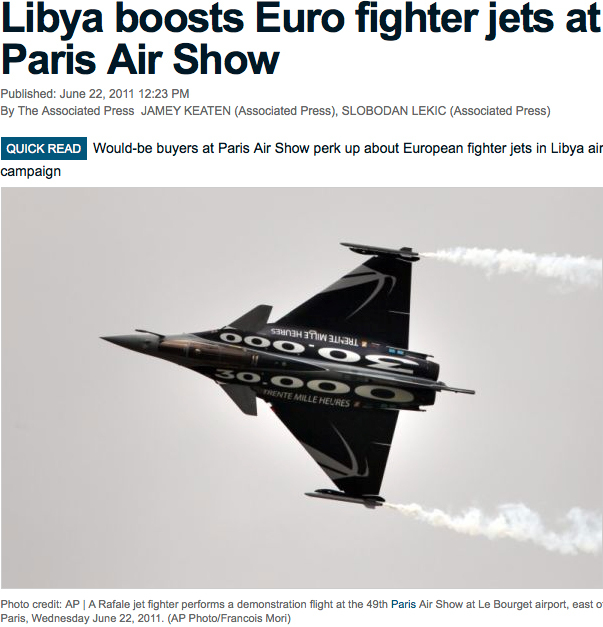 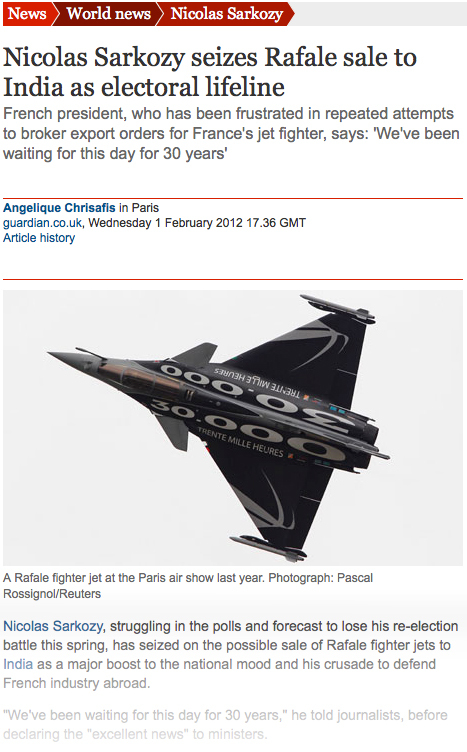 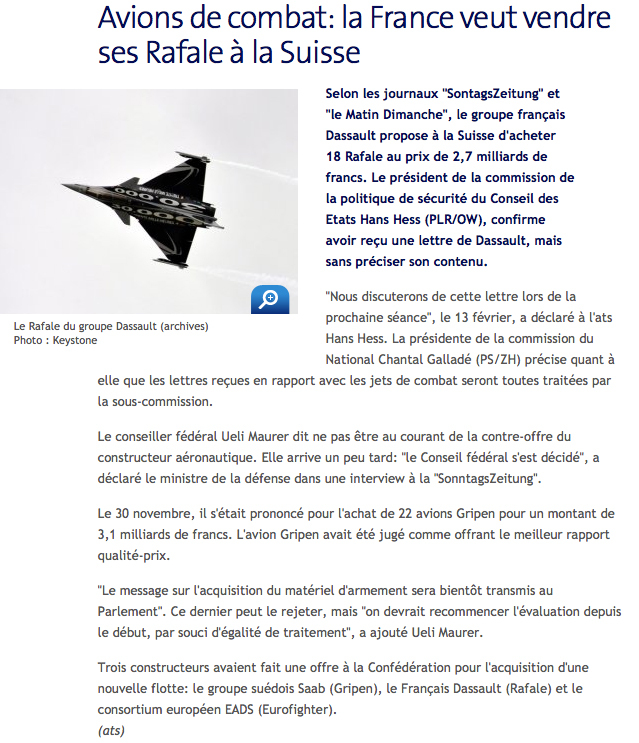 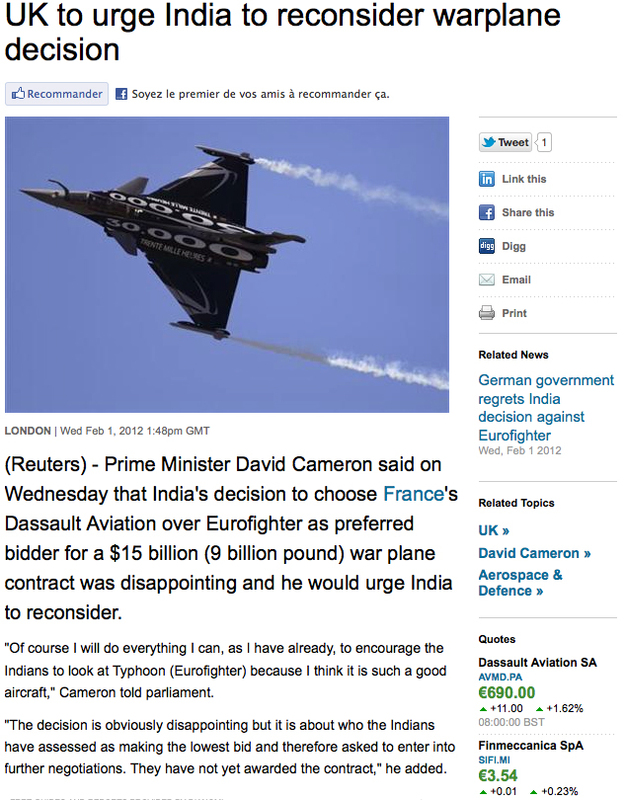 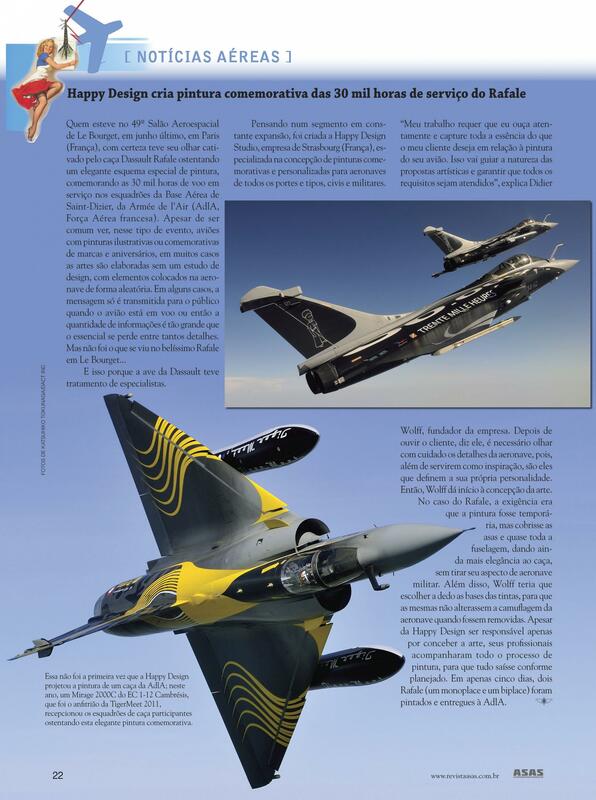 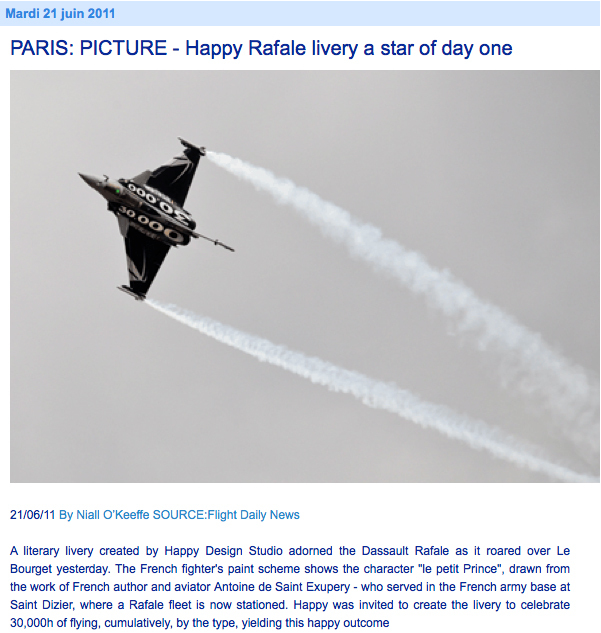 The international press coverage concerning the Design created by Happy Design Studio for the Dassault Rafale is such and especially with the latest news on that topic that numerous press agencies are using it to illustrate their news releases. 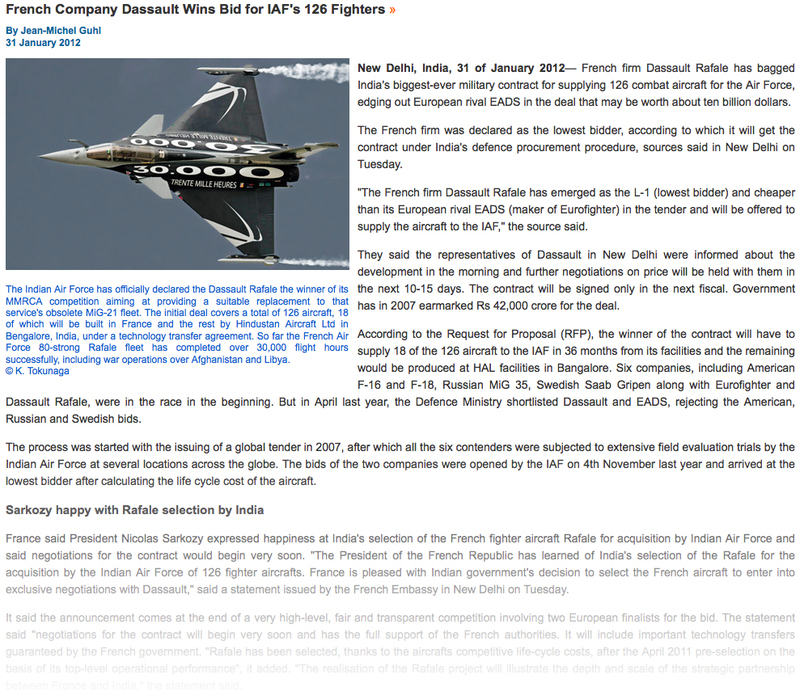 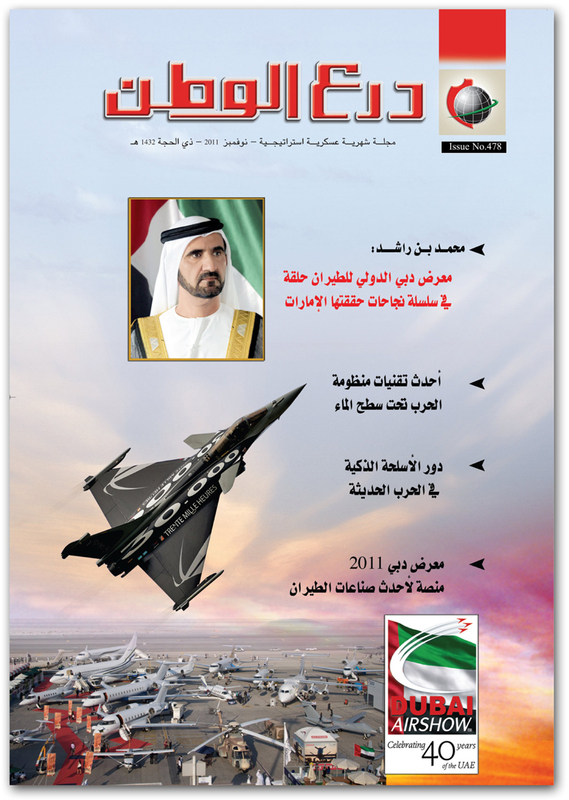 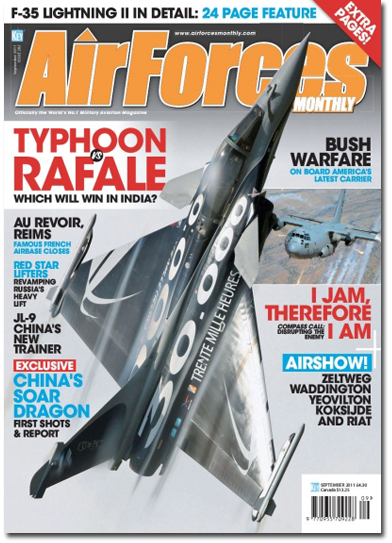 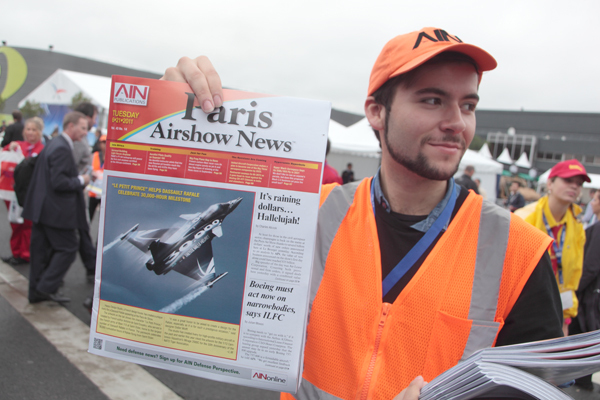 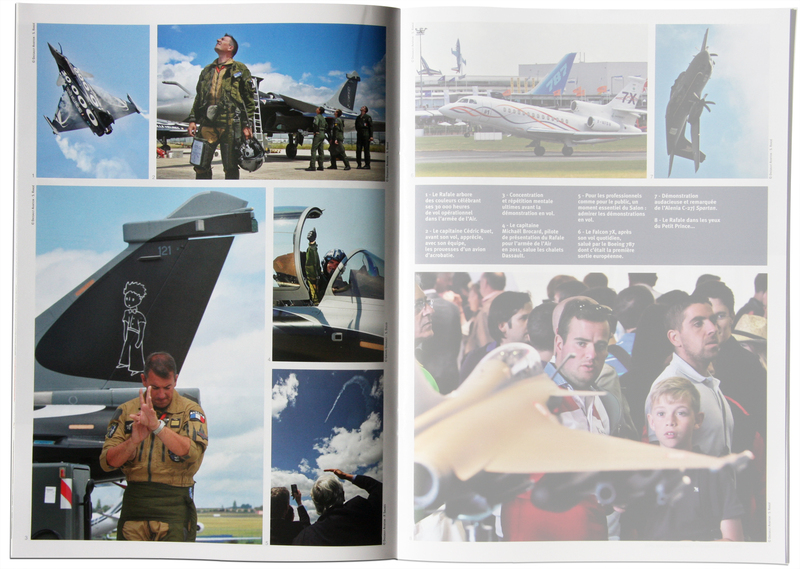 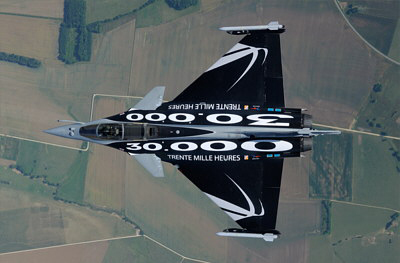 Therefore, we have decided to gather all related articles from all titles on a separate page dedicated to the Rafale showing our livery. 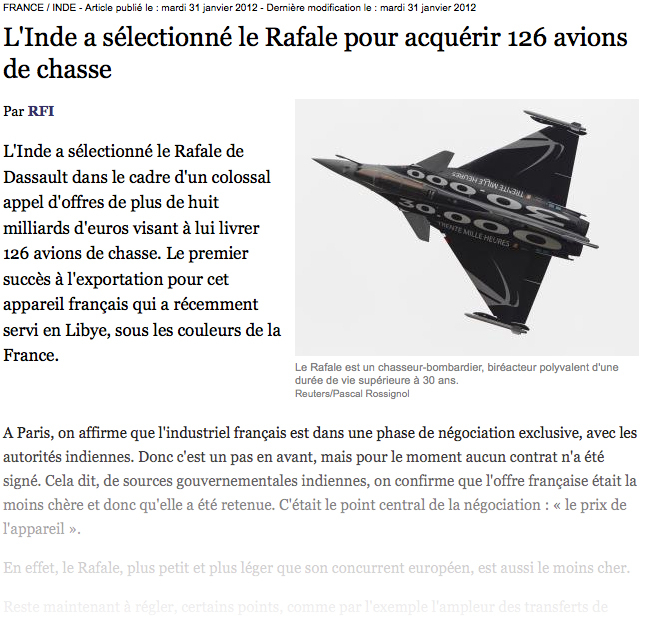 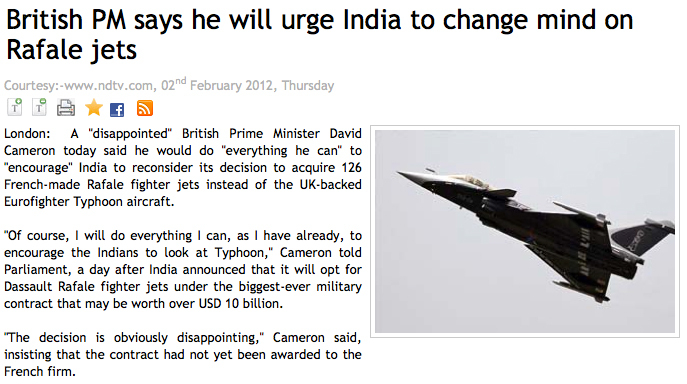 143 articles.